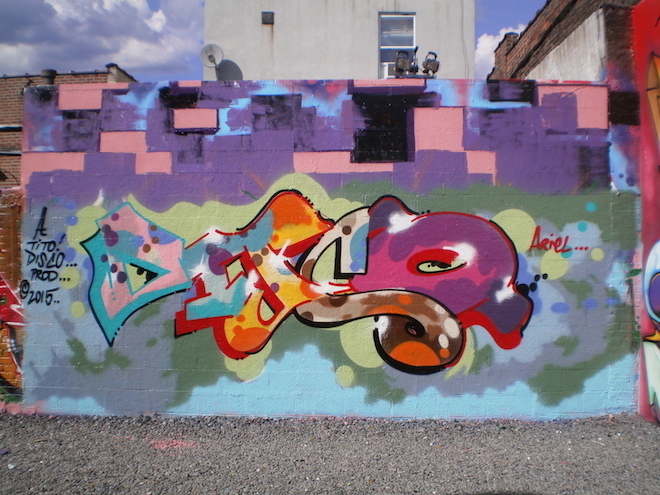 StreetArtNYC contributor Lenny Collado aka BK Lenny recently had the opportunity to interview the legendary artist. When did you first start drawing? From the moment I could hold a crayon in my hand. I was about one or two. 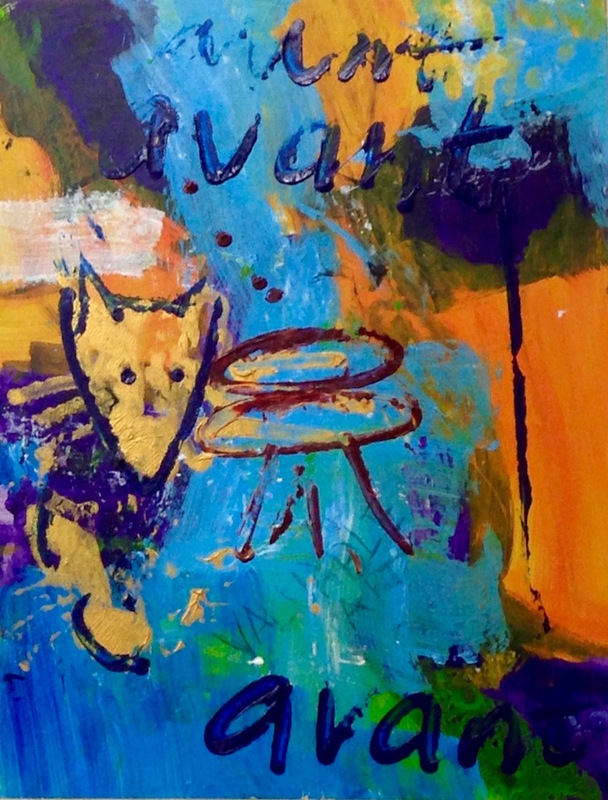 What are some of your earliest art memories? I remember when I was in the 4th grade, we were asked to draw a figure of a tree. I drew the tree. We were told not to color it. I colored it anyway – only to be told that I’d ruined it. I could never follow assignments; I always did my own thing. I also have memories of copying from baseball cards, making pencil sketches of baseball players. I remember, too, going to a museum and seeing all these grey wooden boxes with soda cans and wrappers. I had a piece of garbage with me, and I threw it in. Suddenly, all the guards raced at me. I didn’t get it. I was 11 at the time. What about cultural influences? Any particular ones? Jimi Hendrix — his music and visual projections. I give him major props because Hendrix rode a wave, divorcing himself from being a creator. When he was on, he was not really there. When the magic happens, the ego isn’t really there. The art takes on a life of its own. What did your family think about what you were doing? Were they supportive? My mother used to ask me, “Have you considered having a career?” I‘d say, “I have a career!” She never understood, and she never hung any one of my pieces. She didn’t like my stuff. My father, however, had pieces hanging from the floor to the ceiling. How important is the viewer’s response to your work? I like people. But I don’t think their opinion would actively make me change a piece. While creating, I really don’t want to hear what others think. Afterwards, I’ll listen. Are you generally satisfied with your art work? Have you a favorite medium? How long do you generally spend on a piece? Impossible to answer. Several years. I don’t think I’ve ever effectively finished something in less than thirty seconds. My posters take about four days and I do 20 at a time. What percentage of your time is dedicated to your art? All of it! Even if I’m watching TV or sipping iced tea, it’s all part of it. Do you have a favorite place to work? I’ve always liked my studio. I’ve always lived in my studio. How has your art evolved throughout the years? It was simplistic at first. I’ve gotten better. When graffiti first hit, I guess I was still holding back. But then I started to feel like a fool. So, I said, “Just go for what you want now. Just do it!” That was about ’77. And since, I’ve explored several different mediums. 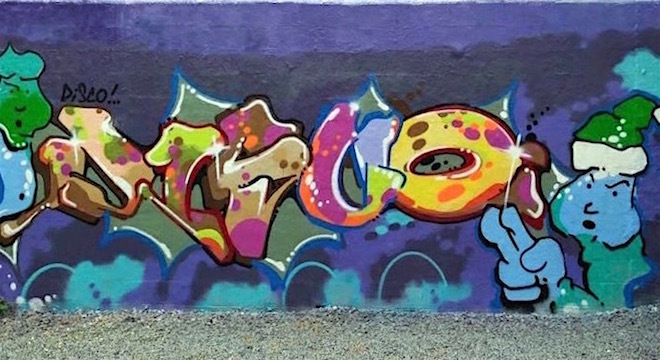 You were one of the earliest folks to impact the street art scene. Can you tell us something about that? We were all about going on a campaign and using the street as an alternative space. We were in revolt against the galleries and the commodification of art. That was Avant. There was a strategy to the whole thing. 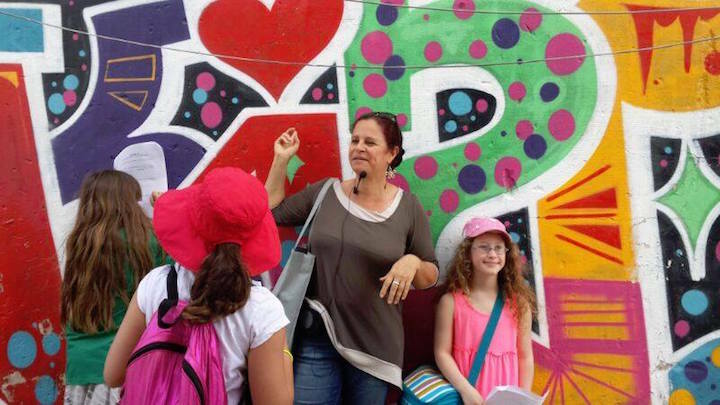 When the street kids were going to the galleries, we were bringing the studio to the street. We were like a rock band, hitting as many venues as we could. 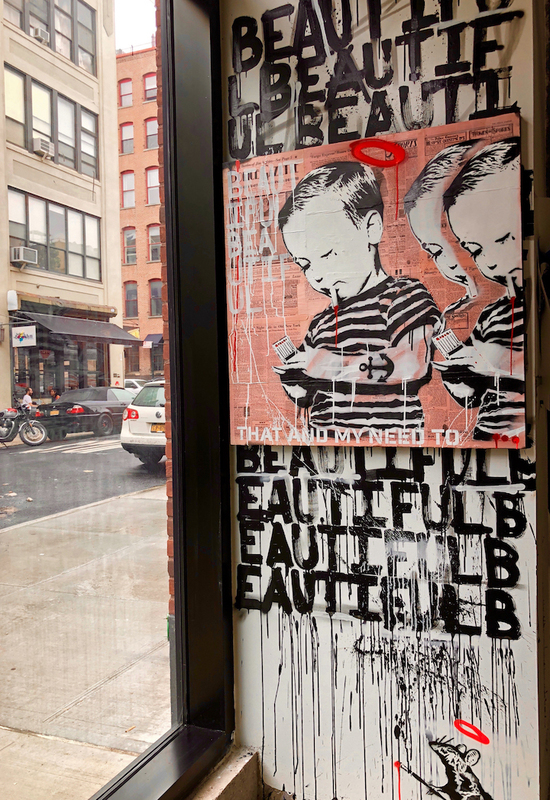 We used paste-ups and paint to put up art on the street. 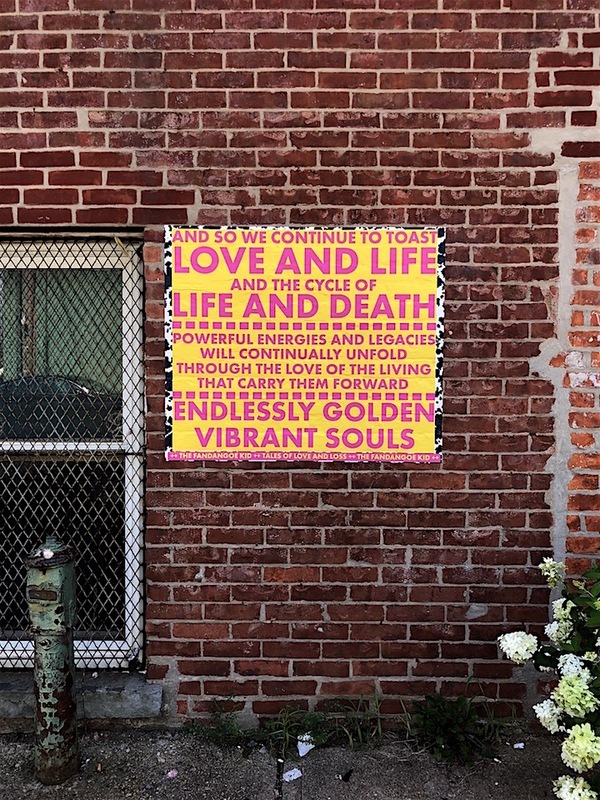 The late painter and poet Rene Ricard called us “the enemy,” because of what we represented. We were on a mission. Who were Avant’s inspirations back them? 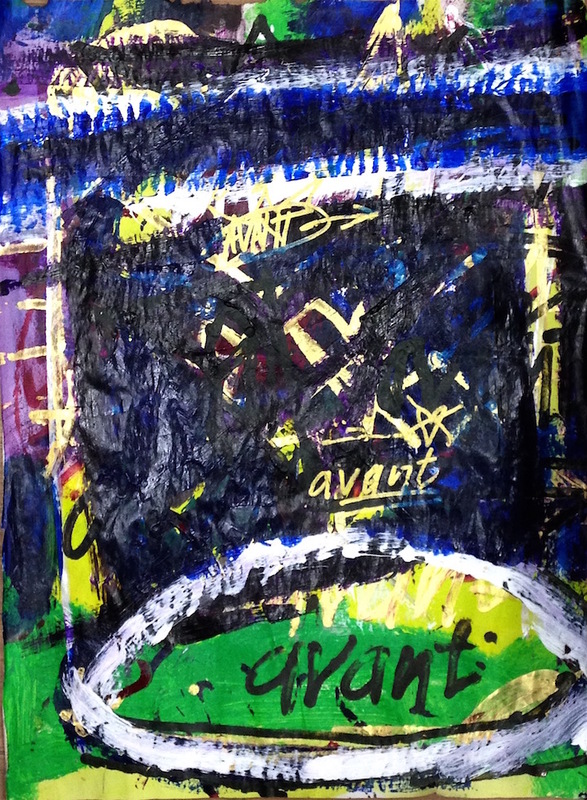 We were largely inspired by Al Diaz and Jean-Michel Basquiat. SAMO© was a phenomenon, as it captured people throughout the city. What is your main source of income these days? Selling art, selling stories, and writing about other artists. He’s a priest or a cobbler with a compulsion, feathering the nest. 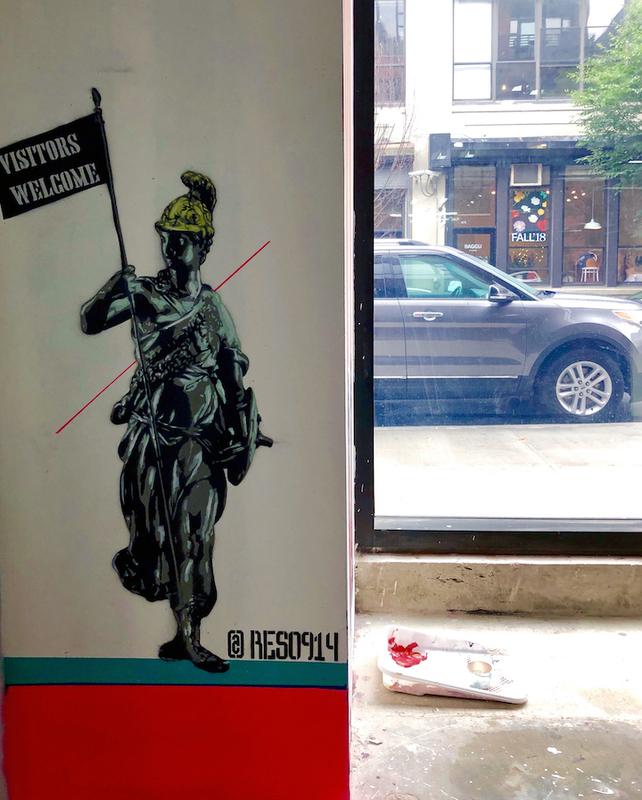 You’ve exhibited in dozens of venues from alternative sites to museums. Yes! Among them were 51X Gallery, MoMA PS1, A.S.A.G.E. 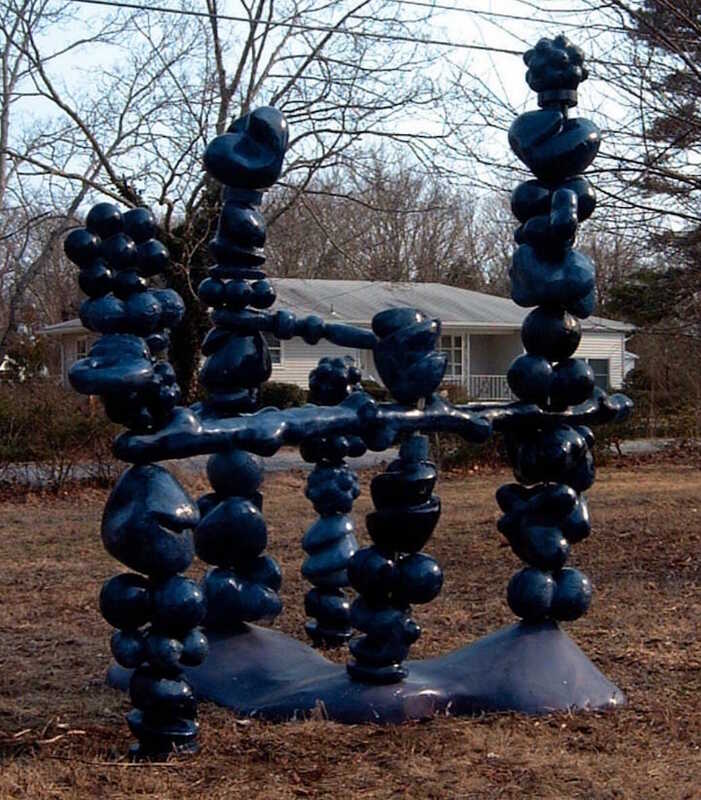 Gallery, Nassau County Museum of Art and Causey Contemporary. And my next exhibit opens this Friday, September 21 at 17 Frost Gallery, where I will be showing along with David Fried. in an exhibit presented by d.w. krsna. Good luck! We are looking forward to that! 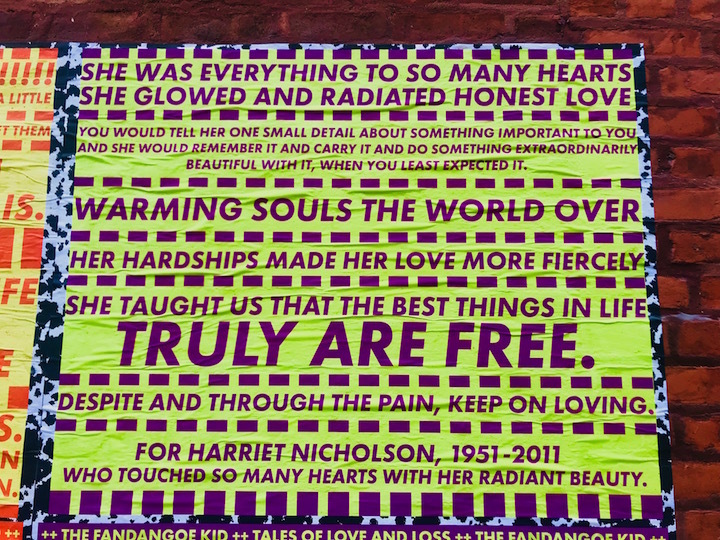 Ever on a mission, East London-based artist Annie Nicholson aka Fandangoe Kid has been busy here in New York City. 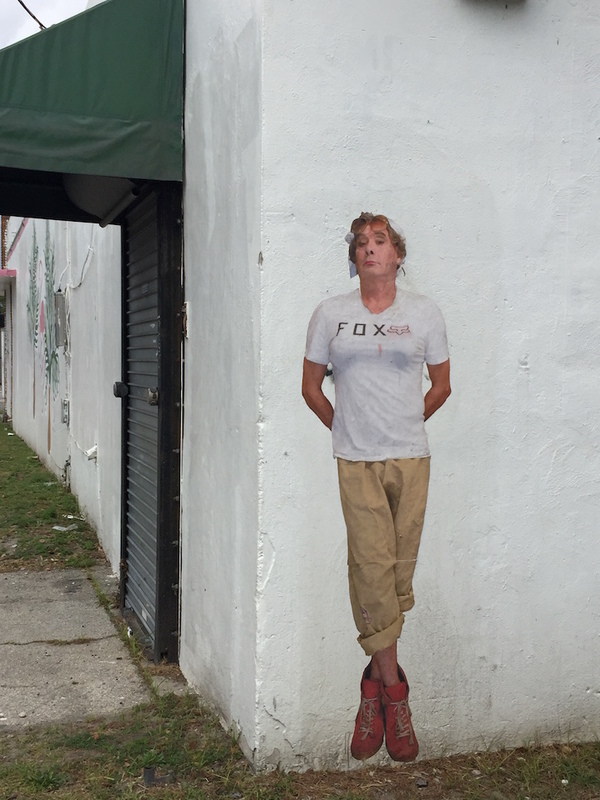 Last week, I had the opportunity to meet up with her in Red Hook, Brooklyn at the site of her De-Construkt residency. When did you first become interested in sharing your messages in public spaces? Back in 2005 — when I was studying film and visual arts in Paris — I began leaving text messages on friends’ doorsteps. My artwork has always been narrative-driven. Your current projects generally reference your family members. Can you tell us something about that? In 2011, my mother and sister were killed in a crash. Their bodies landed in the East River. Nothing has been the same since. For several years I was totally derailed. Sharing my thoughts in the public sphere and working with young people have kept me alive. My public messages are, also, my means to remove the stigma that exists around loss and mental health. How have folks responded to seeing your text messages reflecting your very private — often deeply painful — reflections on your losses? Many have approached me and shared with me stories of their own losses and vulnerabilities. It is part of their healing process, as well as mine. And working with youth is wonderfully therapeutic — as I know! How did you connect with the young people with whom you work? I’ve actually worked in art education for over 10 years — from the Tate Modern to the British Film Institute. And then four years ago, I began working with traumatised young people in a program I’d launched at the Hackney New School using the arts as a means to understand and share their stories more effectively. Are there any particular artists who inspired or influenced your particular text-driven aesthetic? Steve Powers — certainly! He is one of my favorite artists working in this genre and a huge inspiration. 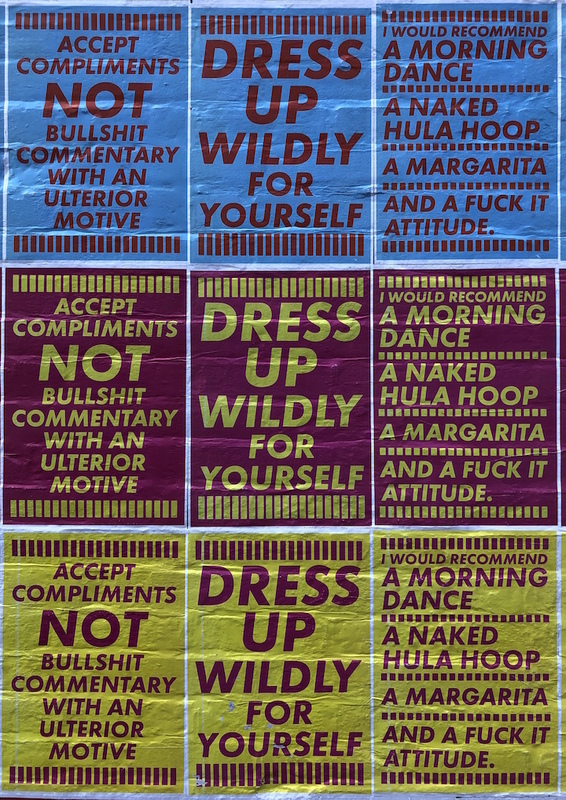 Others include: Jenny Holzer, Barbara Krueger and Camille Walala. What brought you here to New York City? For six years — since the loss of of my sister and mother here in New York City — this city has been hanging over me. I felt the need to spend some time here. And Laura Arena, who offers residencies in Red Hook to artists from all over the world, has given me the opportunity to do so. Why the streets? Why do you primarily utilize the streets to transmit your messages? I like the visibility that the streets offer. My messages are easily accessed on the streets, especially by young people. I will be returning to NYC in the fall with plans to install large-scale works in more permanent public sites to create a platform for dialog. Earlier this week, I had the opportunity to meet up with Poornima Sukumar. 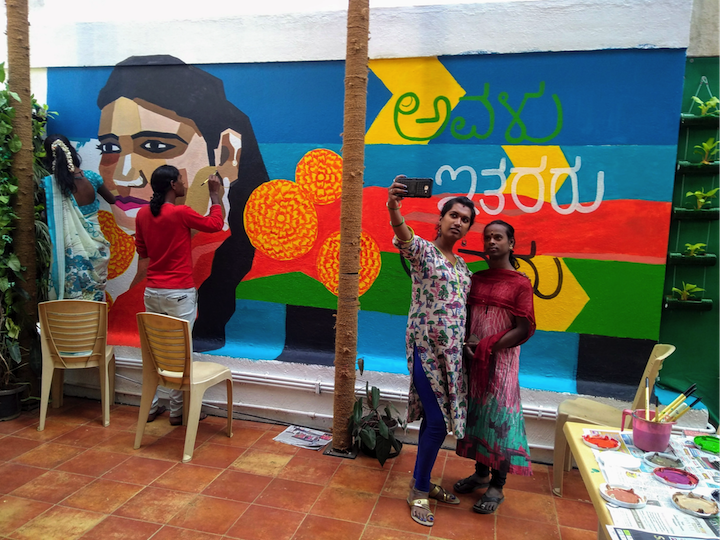 A muralist and community artist based in India, she is the founder and director of the Aravani Art Project, a collective that creates spaces for people from the transgender community to connect with other communities and cultures in their local neighborhoods. In July 2016, Poornima was invited to present the Aravani Art Project at the Global Youth Forum, and she was hosted by the World Bank as a panellist for the LGBTQIA+ discussion in Washington DC. She is also a TEDx speaker. What is the mission of the Aravani Art Project? Can you tell us a bit about it? 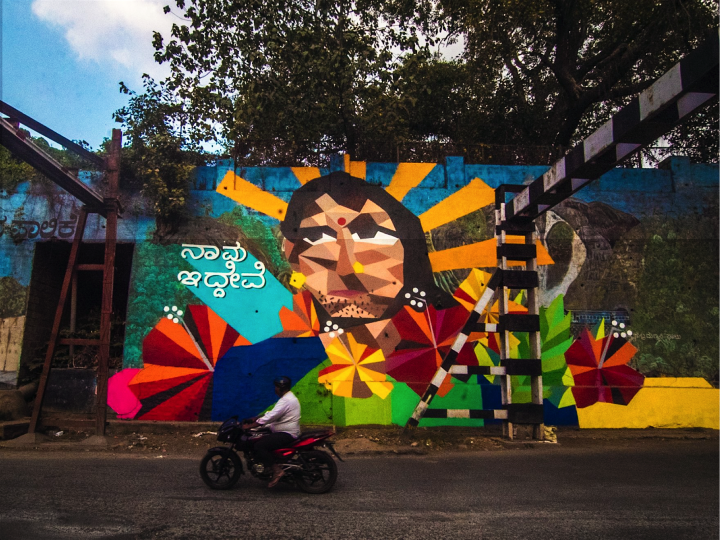 It aims to create a collective space for people from the transgender community by engaging them in public art and other interventions. We are interested in providing opportunities for members of the transgender community to collaborate with artists, photographers, filmmakers and general members of society to voice issues and engage in dialogues. We want to help society see people from the transgender community in a new light. We also make an effort to become invested in their personal lives. We look out for them just as we would look out for our own friends. The projects are completely built on trust and friendship, and friends always look out for each other! We are intent, in fact, on providing members of the transgender community with access to health care, as well as the skills they need to procure jobs. When was it started? And why? It began in January, 2016. After 3 ½ years of working on a film about the transgender community in India and making close friends among members of that community, I wanted to remain involved. I was concerned about the violence and the prejudice that so many of them encounter. I felt the need to bridge the gap between members of the their community and society, at large. Who are some of the other folks who have worked with you in implementing your mission? 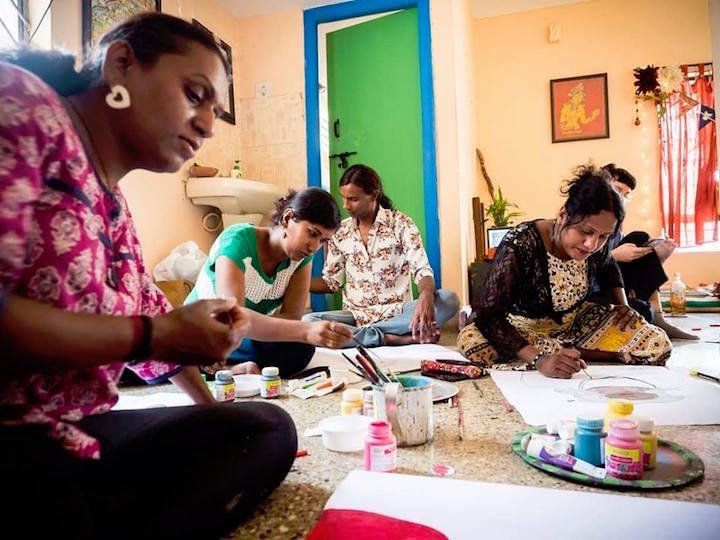 Among them are: Sadhna Prasad, who serves as the project’s art director; trans leaders Shanthi Sonu and Priyanka Divaakar and trans artists Chandri and Purushi. 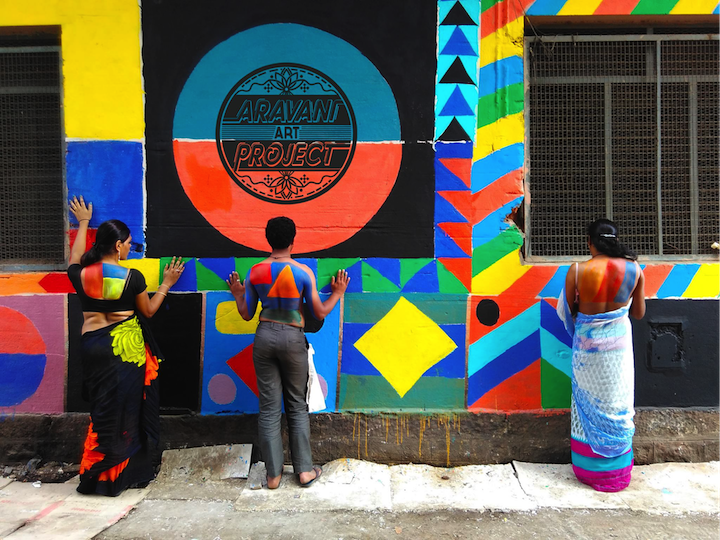 About how many people has the Aravani Art Project engaged so far? Since the project began in 2016, we’ve engaged over 1,000 folks in 25 projects. How have you made these opportunities for collaboration and exchange happen? That’s quite an impressive number of projects. As a muralist and illustrator, I know many artists. We’ve also received commisions. This past year, Facebook, in fact, invited us to their office in San Francisco. How has the general community responded to the Aravani Art Project? Very beautifully – folks open up to us slowly, and, organically, folks want to connect. And what about the name Aravani? What is its significance? The term Aravani means a person who worships Lord Aravan, the patron God of the transgenders. We are looking to forge more collaborations internationally and reach out to more communities whose voices remain unheard. We are planning two projects abroad and five in India. We are always seeking visibility. How can folks become engaged in your projects? We are eager to engage all folks — straight, gay, transgender — in implementing our projects. And if you are interested in becoming involved, you can write to us here. That sounds great! 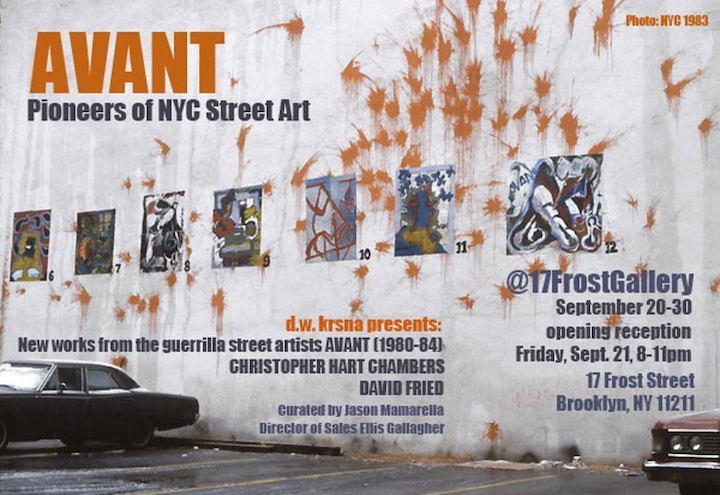 And we look forward to seeing you back in NYC with the Aravani Art Project! Earlier this year on a frisky afternoon, I met up with Noémi Nádudvari at a lively café in the 7th district of Budapest. 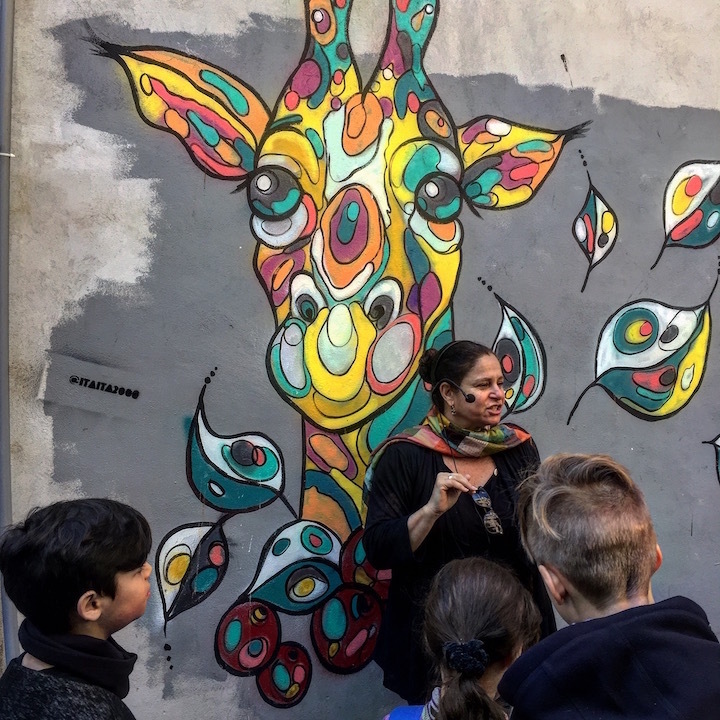 A Budapest native and street art lover, Noémi, with the help of several like-minded individuals now known as the Colorful City Group, founded the Színes Város Festival (Color City Festival), the premiere large-scale public wall painting project in the country. 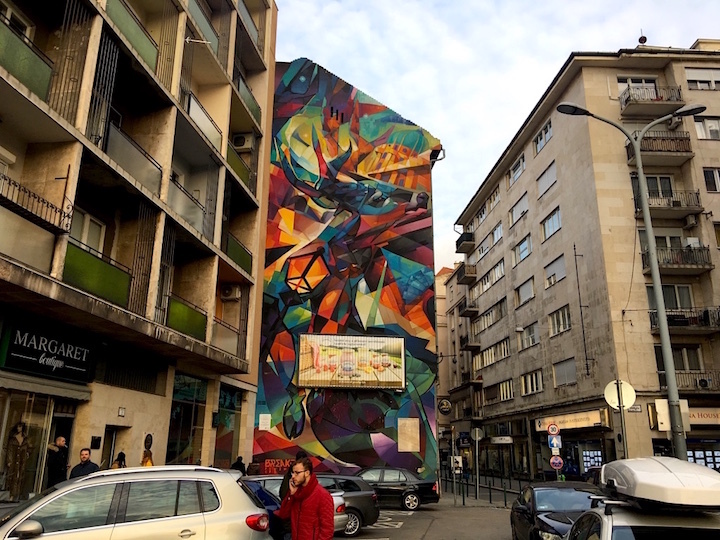 Inspired by Hungarian painter Victor Vasarely’s vision that colors should play a vital role in city planning to make the world a more livable place, Noémi and her team have added over 70 murals to the facades of the Budapest City Center. I asked her a few questions about this project before she took me on a walking tour of the neighborhood. It is a pleasure to meet you, Noémi. If I understand correctly, you work here at Café Dobrumba? I do! I am the manager of Café Dobrumba. My team and I collaborate to create a rotating menu inspired from our travels abroad. Sadly, these are my last few weeks working here. I will be focusing my time and energy on the Színes Város Festival. 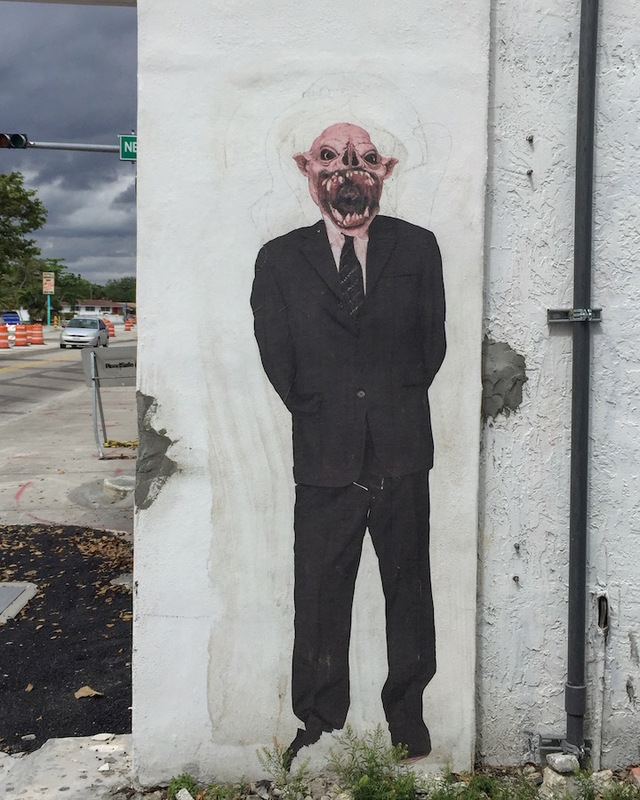 It is impossible to have a full time job and, also, curate an expanding street art festival! Yes, the Color City Festival! Tell us about this great initiative and how it all started. 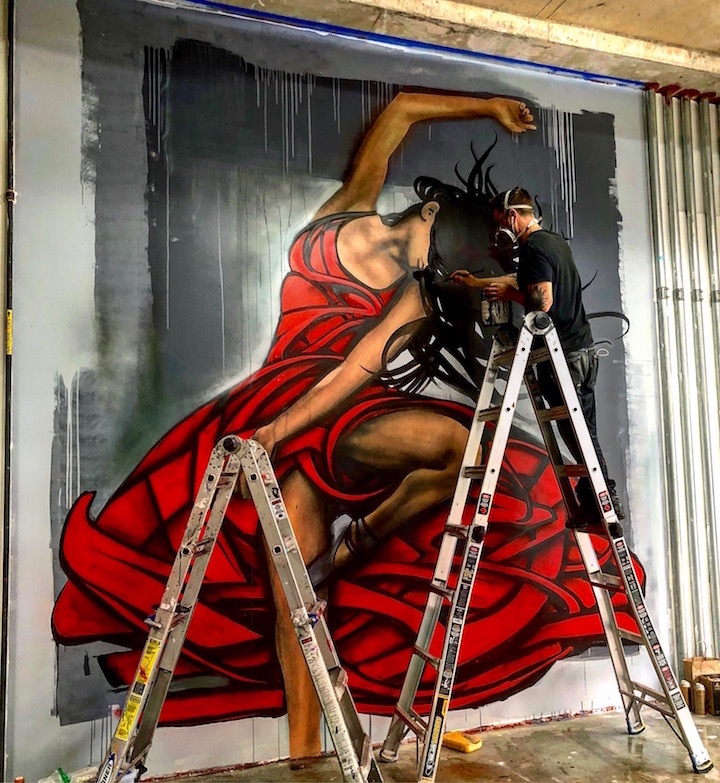 The start of the festival was in 2014 with myself, my collaborator, Peter, and a super small group of people who were on board with the idea of creating an arts and culture initiative with murals by street artists at its center. We are now in our fifth edition. It is a little hard to believe sometimes. If six years ago someone had told me that I would be the curator of a city-wide street art festival, I would have laughed in their face! 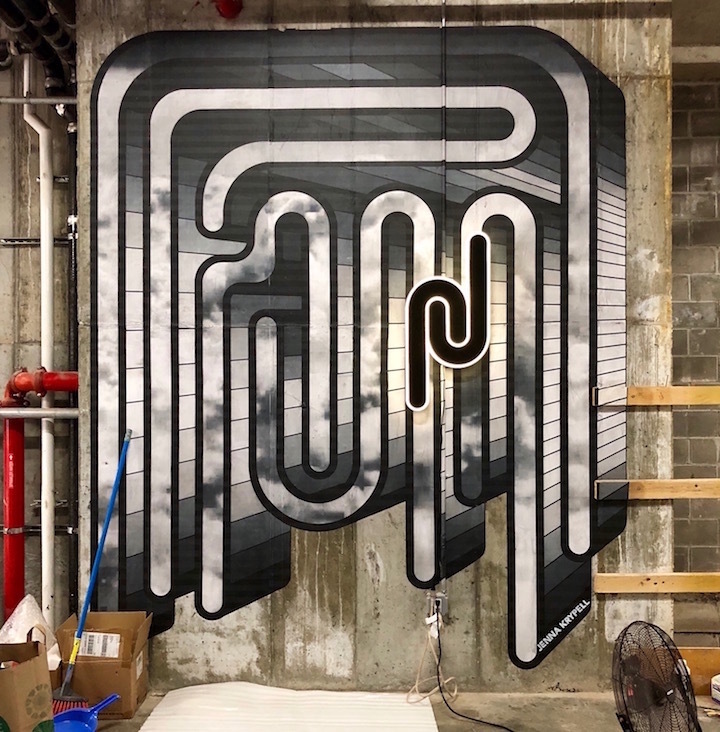 Today we produce around 8-10 murals each year, trying to find new wall spaces every cycle. It sounds like you’ve come a long way. Was this festival your first experience curating? It was my first time curating a large-scale event. 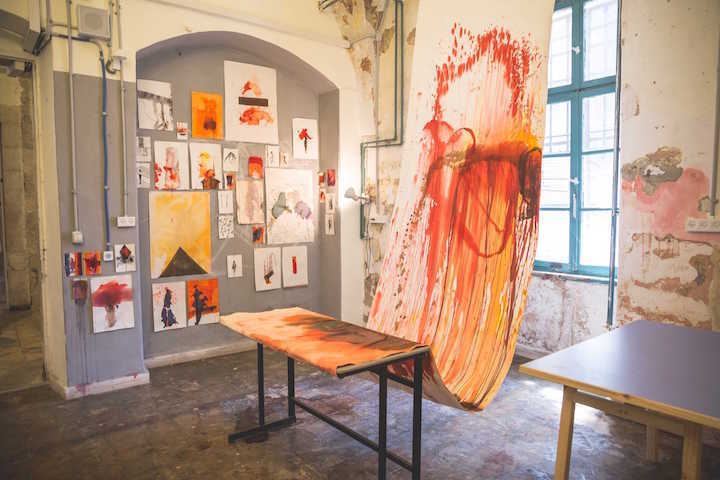 I studied aesthetics, philosophy of art and Latin in college, and then I worked in contemporary art galleries, auction houses, and was involved in the organization of festivals promoting young designers in Budapest. 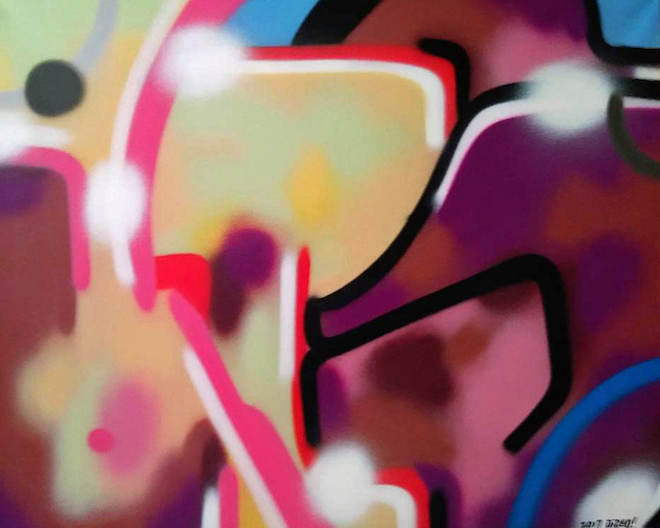 In 2011, I organized Urban Tactics, a one-day live painting event. 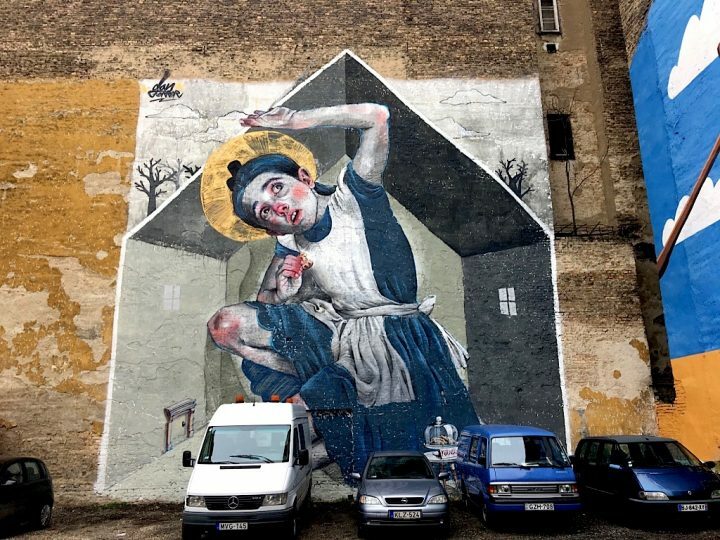 It was the first-ever legal live painting in a public space in Hungary. 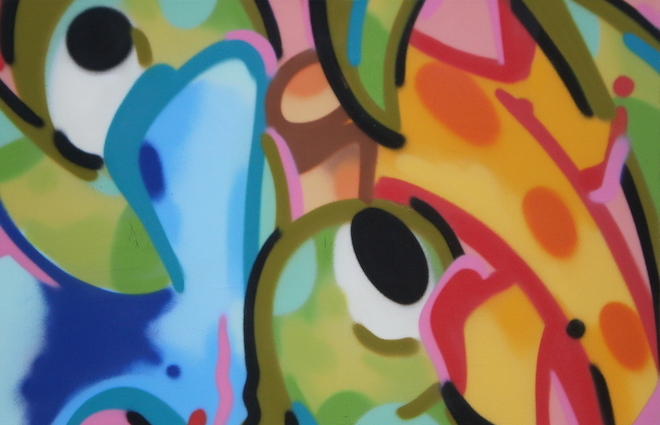 We set up a series of panels on the street and presented an exhibition of work by six graffiti artists. That was my first real curating experience. At the time, we were struggling with money and permissions and did not think that something bigger would be possible. Can you elaborate on the particular model of the festival in regards to the rotating themes and sponsors? 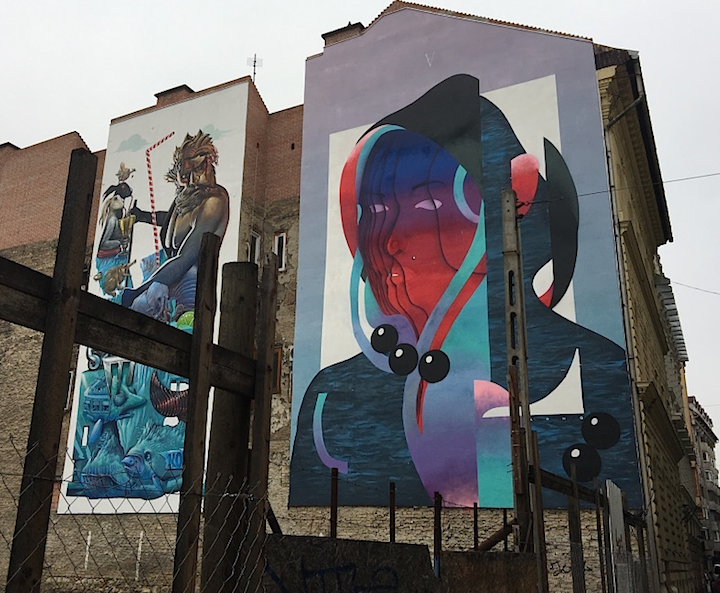 Because street art is so new in Hungary, we decided to collaborate with the city council and government to launch the project, along with sponsors who are keen on increasing the appreciation of street art in Budapest. Each year, we invite a sponsor to select a theme for the festival. It forces us to work within a certain framework. I then create a brief and reach out to local and international artists who may be interested in producing work around the topic. The mural painting then happens. Can you tell us a bit about the topics that have been the focus of the festival? In 2014, the topic was Let’s Start to Talk; in 2015, Hungaricum — a phenomenon that is unique to Hungary and represents great value for Hungarians; in 2016, Water and City / River and the City, focused on the Danube River which separates the city into the Buda and Pest sides; and in 2017, the theme was The Gastronomy of Art – The Art of Gastronomy. 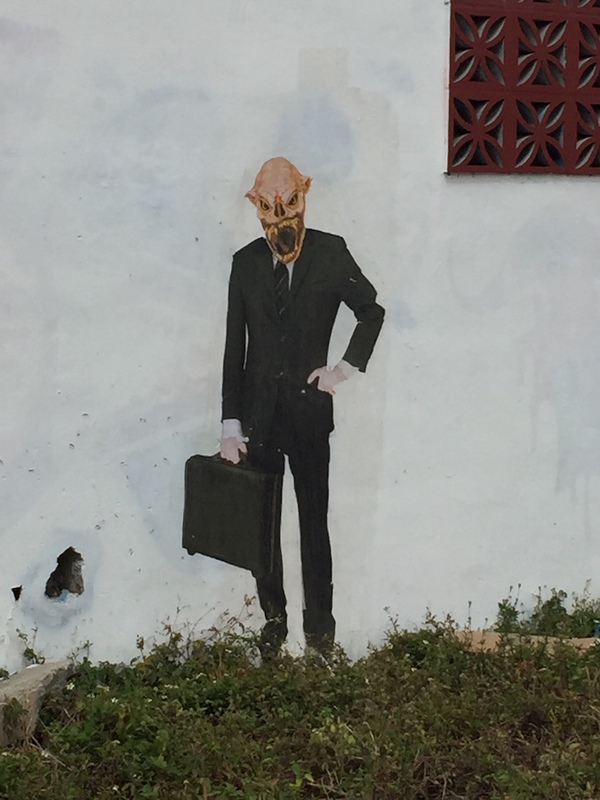 Where are the murals located? Mostly around here, the 7th District, but we started to do some walls in the Buda side of the city as well. 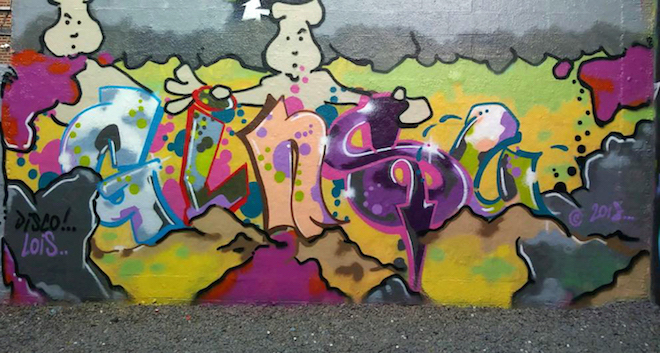 Ruben Sanchez finished a piece there this past winter. 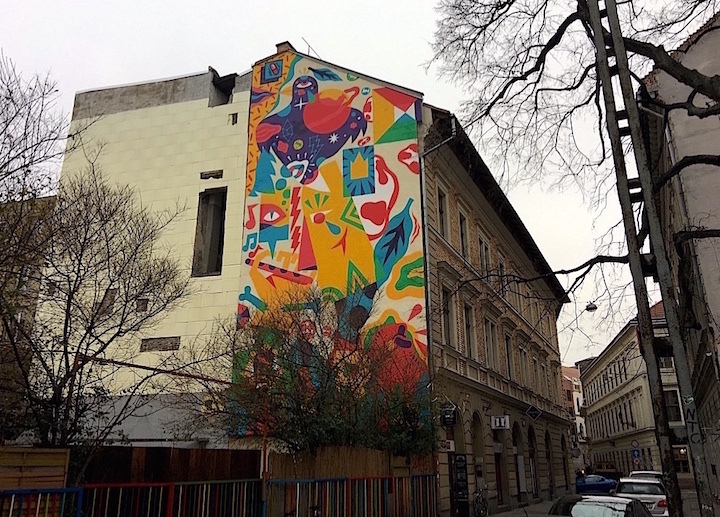 The challenge on the Buda side is that we have to create murals that are more classical — in the vein of a 19th century-style aesthetic — to fit the context of traditional Hungarian architecture. How have neighborhood residents reacted to the festival? What — would you say — were, or are, your biggest challenges? Putting the festival together is pretty challenging, but as a curator/organizer, I would say the most difficult part is obtaining painting permissions. The city of Budapest does not easily give them. It’s a long process. 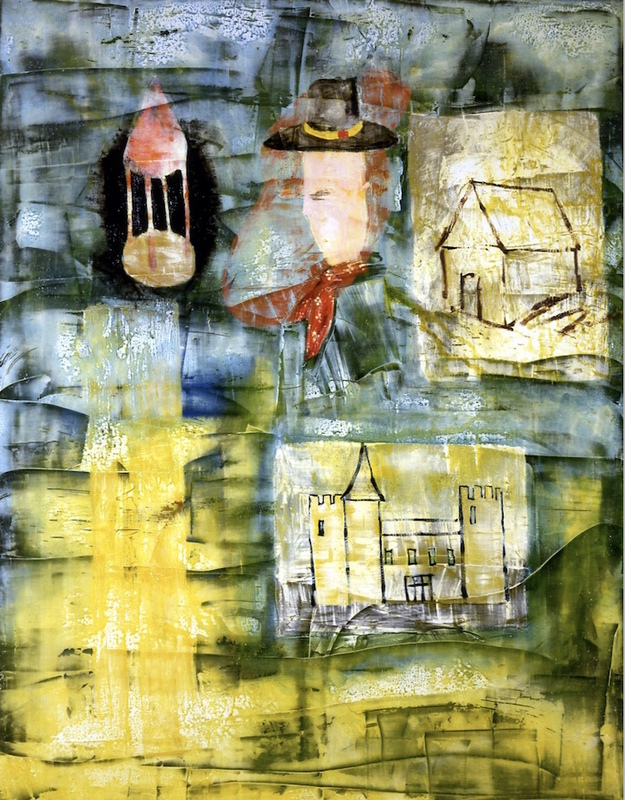 We have to ask five different entities for permission before we can even begin painting. It’s also difficult to find available walls. We’ve come up with a couple of strategies. The first is that we offer to renovate the building façade. It improves the state of the building and benefits the residents. 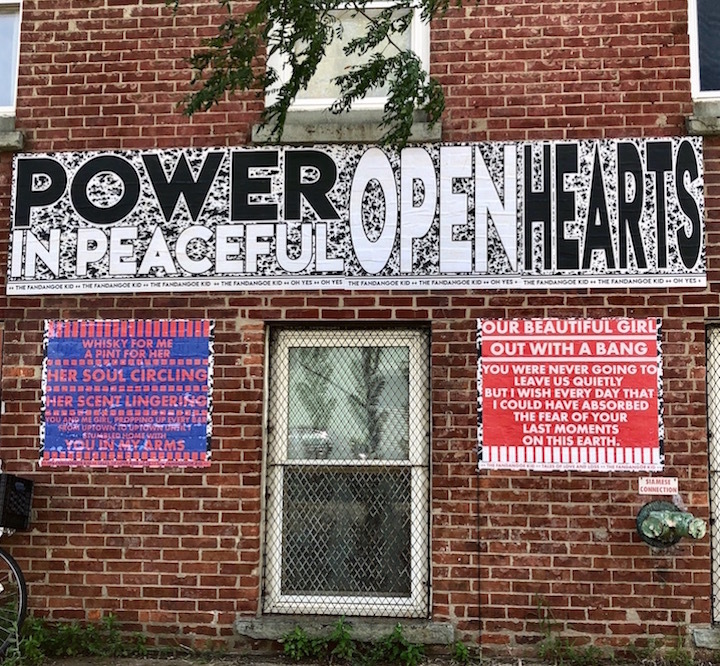 Residents are then a lot more willing to give permission for a mural. As you can imagine, though, it then becomes very expensive for us. The second strategy is finding walls in parking lots. Since the walls are not immediately on the street, the permissions are easier to get. But, this means the mural will be erased when the parking lots are transformed into real estate developments. It could happen after one year or a few years, but in the meantime, the murals are there. 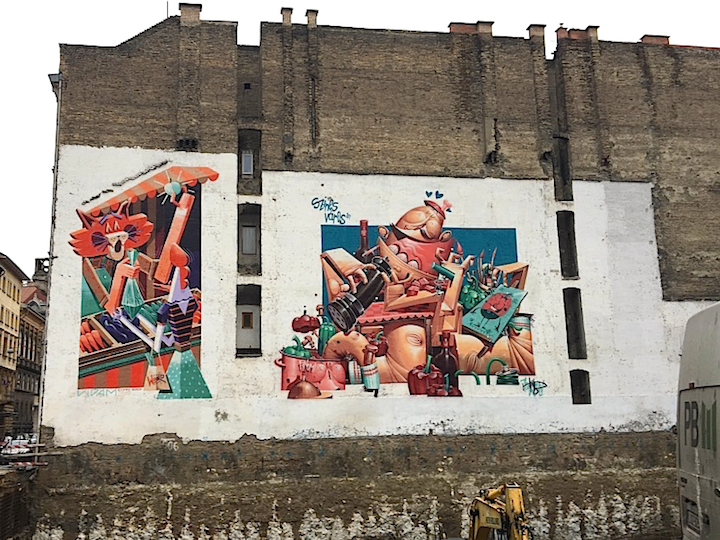 Sadly, construction has started in a parking lot where we have some of our favorite walls by two members of Berlin’s The Weird Crew, HRVB and Vidam, who is half Hungarian. The other challenge is dealing with sponsors who wanted to control the art aspect of the festival. I always insist that we need artistic freedom as soon as we start working with a sponsor. 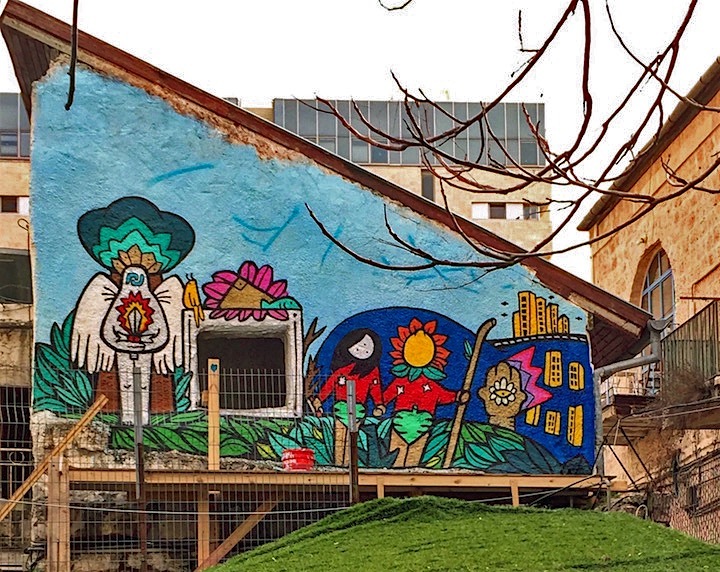 Each year this gets easier as sponsors develop a better understanding of street art and the goal of Színes Város. 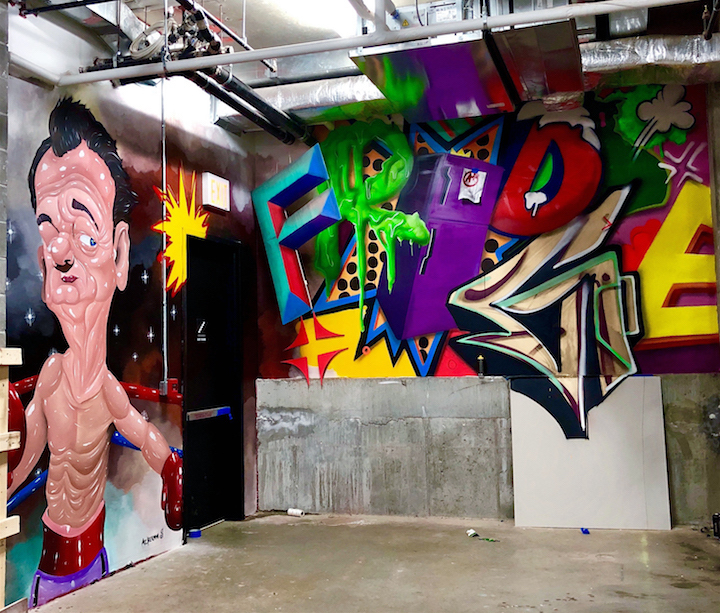 Better artists, better walls. And more artists from abroad. Foreign artists love Budapest! 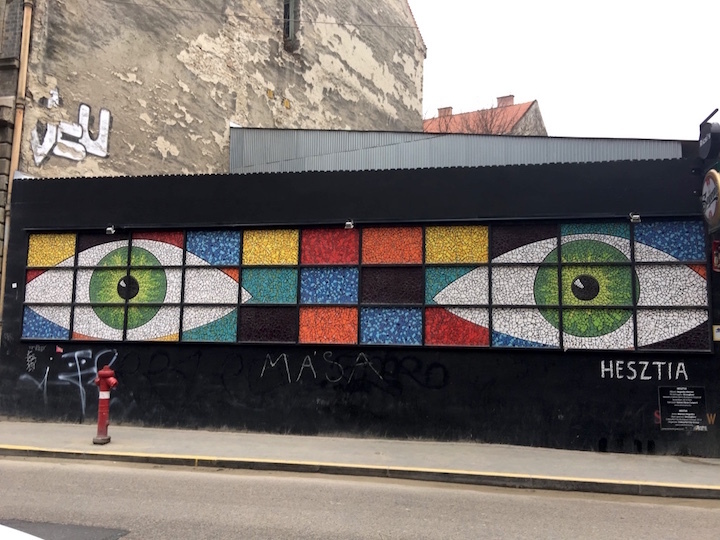 Which is great because we really need a new image of the city… We want to invite international artists to show more street art styles to Hungarian audiences, as well. We were very happy to have artists like Adno, Dan Ferrer, SPOK ÉS KORSE, BreakOne, Ruben Sanchez and others painting walls in Budapest. What is your main goal with Színes Város ? 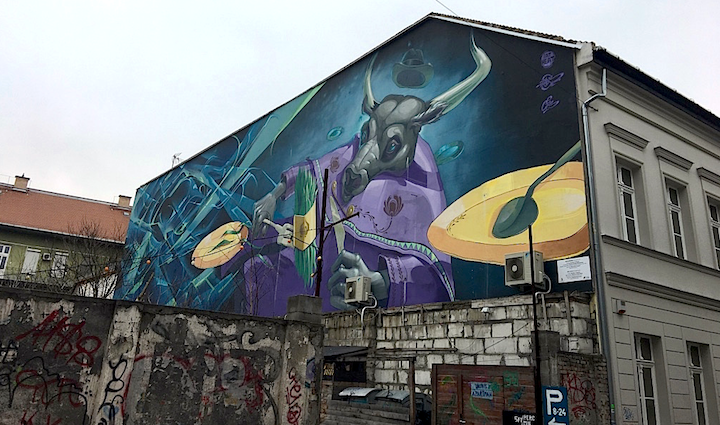 At first, the goal was to expose Hungarians to street art and get them to understand what it is; I wanted to educate the public about this art form. 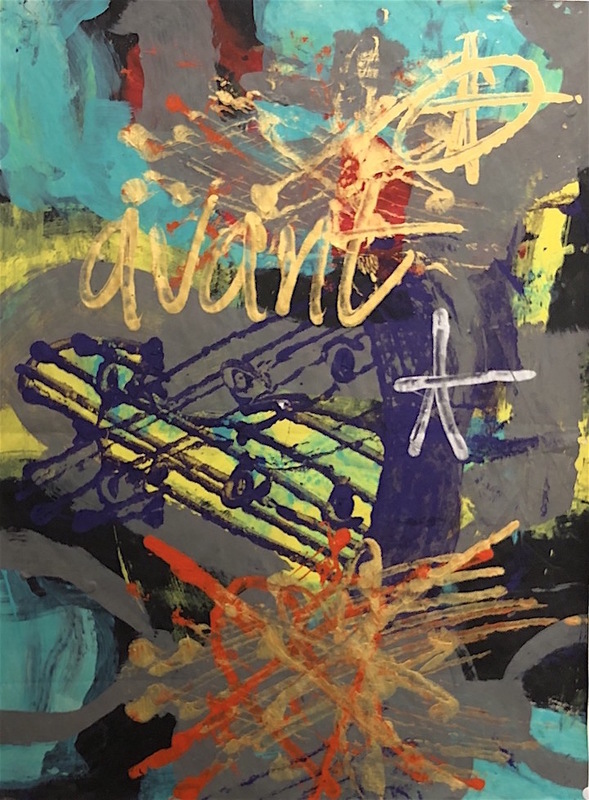 Now that this goal has somewhat been met and people are starting to appreciate art that is less mainstream, I am trying to push the limit and include more adventurous, interesting, challenging pieces every year. I always say in the press conferences that one of the main goals of the festival is to show the great variety of styles that exist. People should be more open and even excited about styles that are new to then, because there isn’t one common taste. No one has to like all the murals. but everyone will have their favourites. For me that’s an important message. You don’t have to love all of them, but try to understand them; try to speak about them; explain why you like a mural or not. Diversity is so important. It is even more important nowadays when the world is moving in a direction that doesn’t encourage inclusiveness…Trump being a prime example of that. Do you feature other types of installations besides murals? Not at the moment. 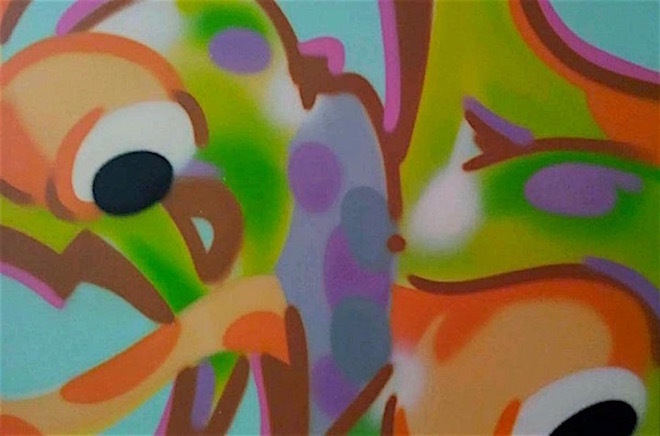 There was a boom in the early 2000 of small street art pieces. Artists were trying to do small works. But there were too many risks involved because, unfortunately, you could go to prison if you get caught just doing a paste up. Graffiti and street artists mostly tried to paint outside the city, finding hidden lonely places where they can work easily without anyone bothering them. So that is why we are missing small pieces in the city. 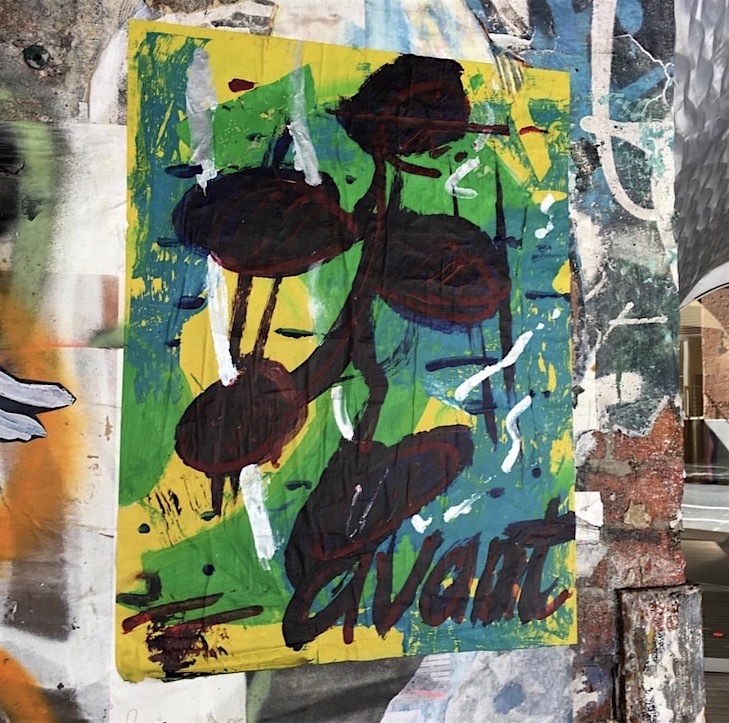 In cities like Berlin and London, you feel like something more is going on aside from the murals – you get that feeling because of the paste ups, stickers, stencils etc. That is a project for the future, focusing on smaller works as well. Any other future projects or plans? For the festival’s fifth year, I want to publish a catalog with images of all the walls. Maybe an exhibition, as well. In the longer term, I want to start an artist exchange program to allow Hungarian artists to go abroad, gain recognition in the international scene and collaborate with other artists. Fat Heat paints everywhere in Europe and Russia, which is great, but I would like to see more Hungarian artists represented around the world. Sounds exciting! We wish you the best for what’s next! 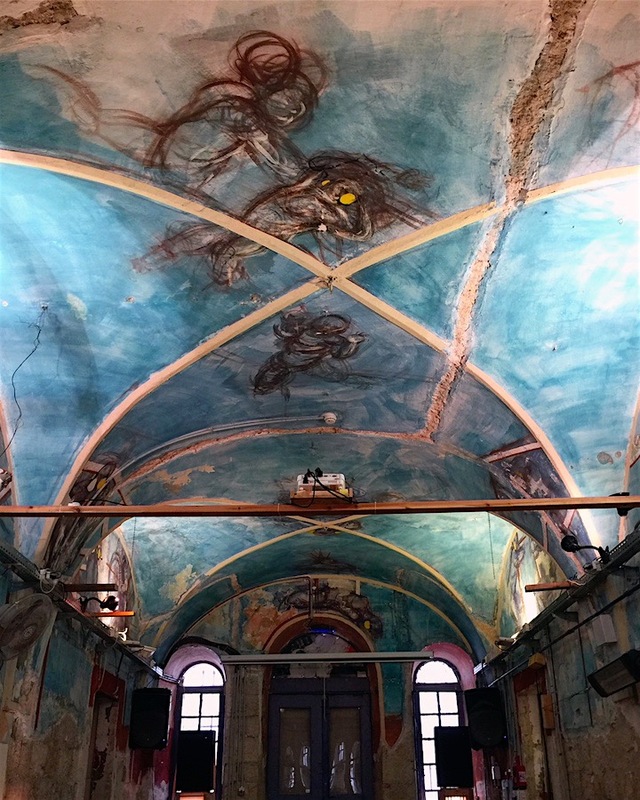 Located in what was once an abandoned 19th Century building, the cultural center known as HaMiffal now hosts an extraordinary range of cultural activities, while providing studio space to artists working in different media. And towards the end of 2017, its production department became engaged in building an entire hospitality infrastructure, the ART BNB INN, that hosts international and Israeli artists from a range of disciplines. 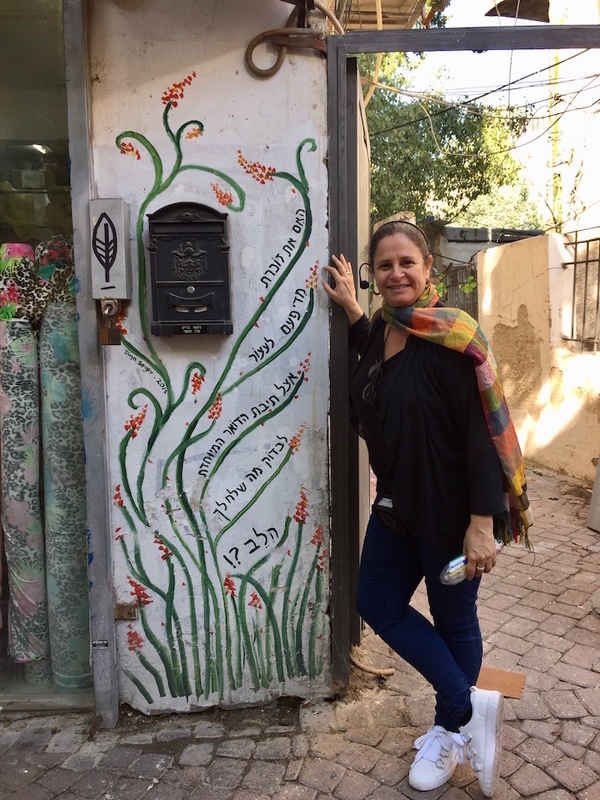 While visiting the space, I had the opportunity to speak to Jerusalem-based artist Meydad Eliyahu, who has been involved with HaMiffal since its inception. What a remarkable space for artists and for art lovers! When did HaMiffal host its first event? At the end of 2015, we opened it to the public, inviting artists to create site-specific work in a range of media. Can you tell us a bit about your engagement with HaMiffal? I was the first artist-in-residence. That was almost a year ago. For three months, I worked on a series of paper drawings that reflect this building and one in India that I had been researching. I’ve also participated in most of HaMiffal‘s exhibitions, and I was among the first artists to curate here. How does the process of working here differ from working in your studio? Working in front of other people, and — at times — in collaboration with them, is far different than working alone in one’s studio. It is almost performance art! And there is always dialog. It is challenging in a positive sense. Who are some of the other core artists involved with HaMiffal’s development? 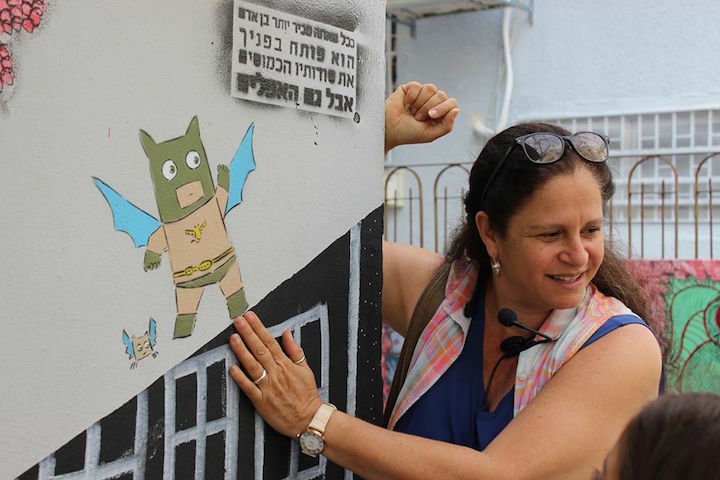 Among them are: Noa Arad Yairi, Neta Meisels, Michal Harada, Shavit Yaron, Tal Harada, Tal Ben Hamo, Yuval Yairi, Itamar Hammerman, Shaul Zofef, Ann Deych, Deborah Fischer, Gilli Levi, Kobi Vogman, Michal Chevion, Michael Cohen, Jonathan Ofrat and Elad Yaron. Several months ago, HaMiffal began hosting artists from around the world who conduct workshops that are open to the public. Can you tell us something about that? Yes. 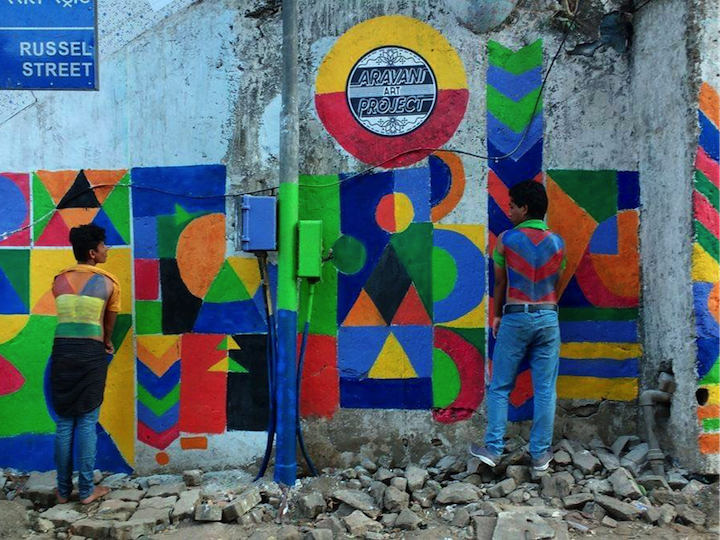 In late December, eight artists — of diverse backgrounds from throughout the globe — conducted workshops, engaged in public dialogs and created site-specific art related to the 100 meter radius around HaMiffal. 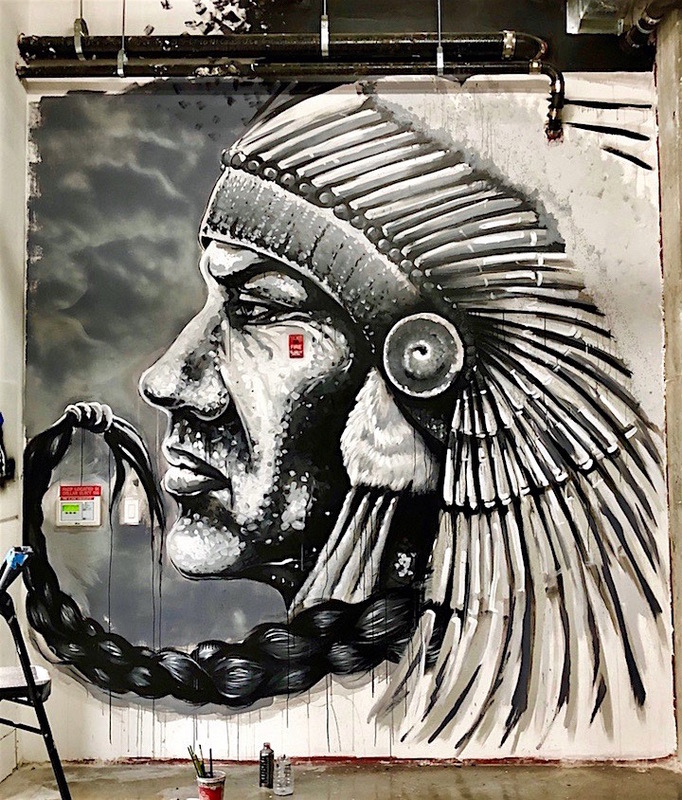 Among them were the Brazilian street artist Manoel Quiterio, who works extensively with drug addicts and homeless people in his native country and the German musician, DJ and music researcher Nicolas Sheikholeslami. We envision it as a cultural center that continues to provide workspace and opportunities for artists working – both individually and collaboratively — in an all kinds of art forms. A few months ago, we published an open call for artists to create new works in HaMiffal‘s varied spaces. We received over 60 proposals and we chose ten artists. And we are interested, of course, in engaging more people from the local community. In addition to running a gallery and workshops and hosting a range of cultural events, HaMiffal offers a café bar. 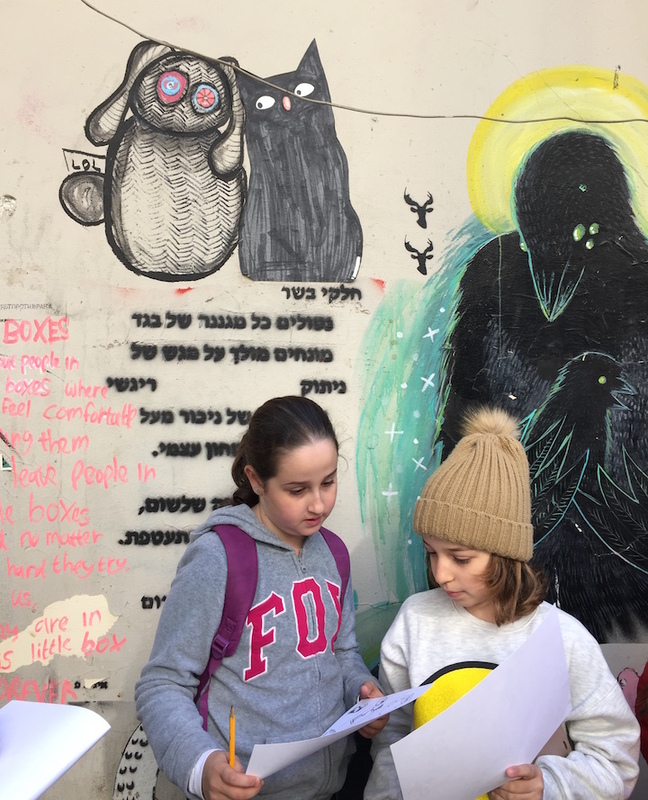 It is quite unusual to have such a space in Jerusalem, and we are doing our best to maintain it. And you are about to travel! 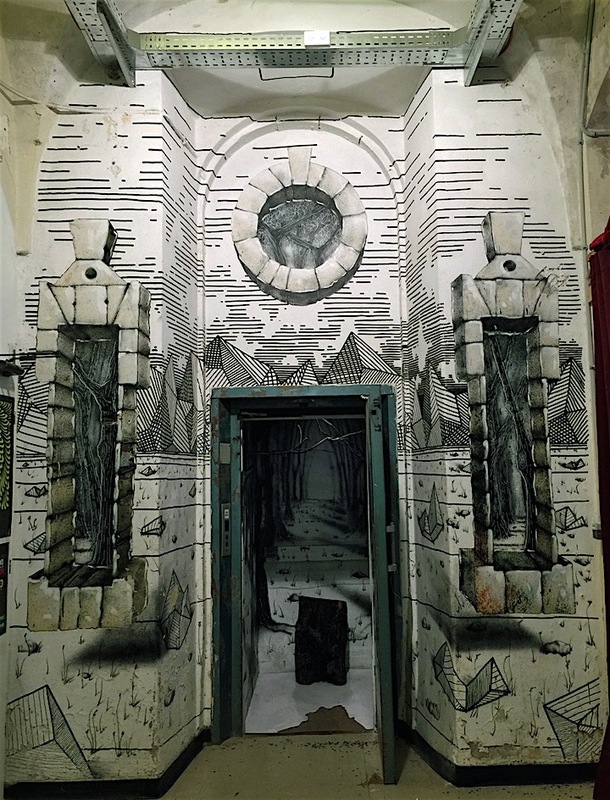 Several months ago, we were invited to participate in the 28th Jewish Culture Festival in Krakow, Poland to create a site-specific project in a historic building owned by the Bosak family. This is the first time HaMiffal artists’ collective will create a project abroad. It is a huge challenge and an amazing opportunity. 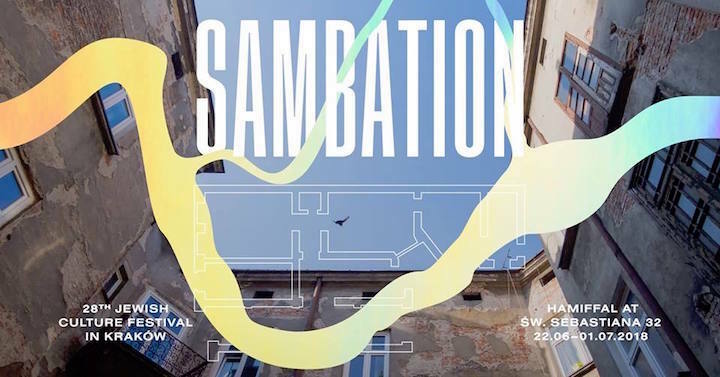 The project, Sambation, will continue for ten days and will involve more than 16 artists from the HaMiffal collective. That is so exciting, And what a wonderful model HaMiffal is for other cities! Note: Jewish Culture Festival in Krakow began last week and continues through this Sunday. Support for HaMiffal is provided by the Jerusalem Municipality, the Jerusalem Foundation and the Leichtag Foundation. It was around 1978. I was eight years old. I lived near Yankee Stadium at the time, and I remember getting my initials, TC –Tito Cruz — up in the yard of P.S. 156, my local elementary school. Did you have any preferred surfaces? Anything was fine! I, especially, liked mail trucks. Who were some of the writers that inspired you back in the day? I was inspired by the local writers: FDT 56, Hoy 56, Kid 56, Hazzy Haz from the D yard, Blade from the 5 layup, T-Kid from the 1 layup and Flame. Have you any early memories that stand out? Meeting Blade in the CC layup on Fordham Road in 1979 and soon after meeting Iz the Wiz up there. They both were already established writers by the time I had hit the subways. But many memories that are not positive also stand out. One of my favorite graffiti names was GINSU, and that caused a log of turmoil in Chinatown, as all of the the school kids assumed that the tagger was Chinese. There were endless wars and fights back then over everything from copying one’s letters to being in the wrong place at the wrong time. There was too much disrespect. Enough to make some of us stop painting burners – knowing that someone was going to write inside or around our pieces. Did you get up alone or did you paint together with any crews? I didn’t paint with any crews, but I did have a sidekick, OHenry. He was my link to many different subway layups and yards. 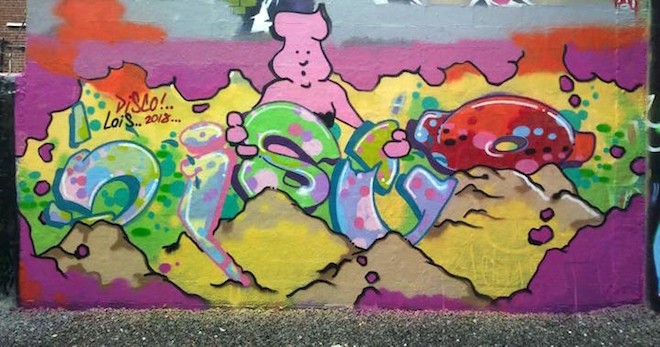 OHenry, though, has lost all interest in spray-painting and in graffiti. He doesn’t even want to talk about it. So when I see him these days, I don’t even bring it up. 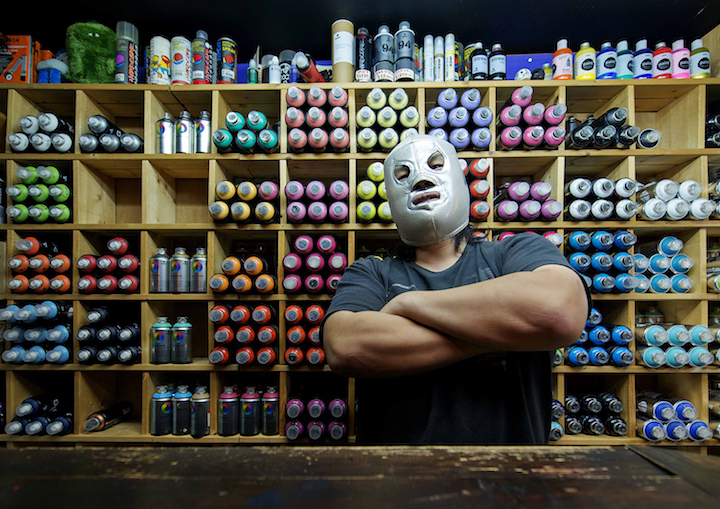 Had you ever been arrested back in the day for graffiti? I was once falsely accused up at the 183rd Street Subway Station. I connected with a Legal Aid lawyer, and the case was dismissed. What was the riskiest thing you’ve done? Climbing into a yard up in the North Bronx off the 2 train. The fence was really high, and it was too easy to get tangled up in barbed wire. And I didn’t know who would be there once I made it in. I graduated from Art & Design High School in 1987. What percentage of your time is devoted to art? About 75% — whenever I’m not attending to my personal needs, I paint. Yes! 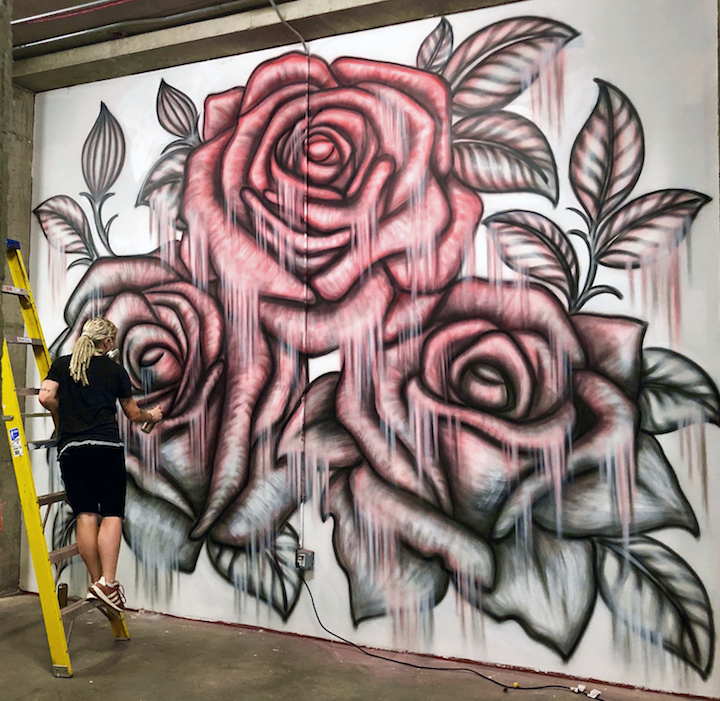 Through commissions and selling canvases. At what point did you begin working on canvases? 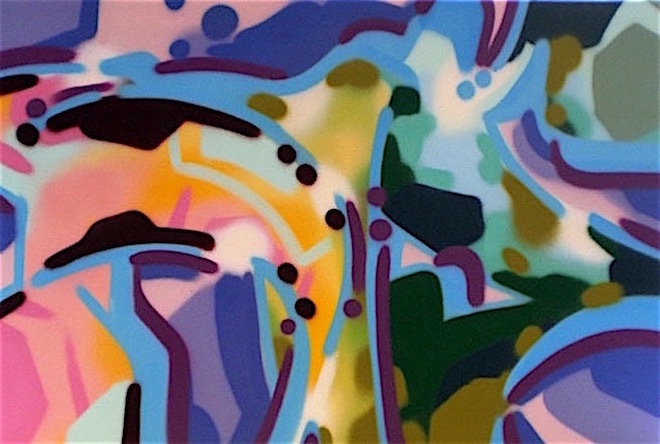 I actually started to experiment with graffiti art on canvas in the early 80’s, but it wasn’t until 2000 that I began to focus almost exclusively on painting on canvases. Which mode do you prefer? I like them both, and I’ve been commissioned to do both. I have no problem with it. I’m happy for the artists. Yes. 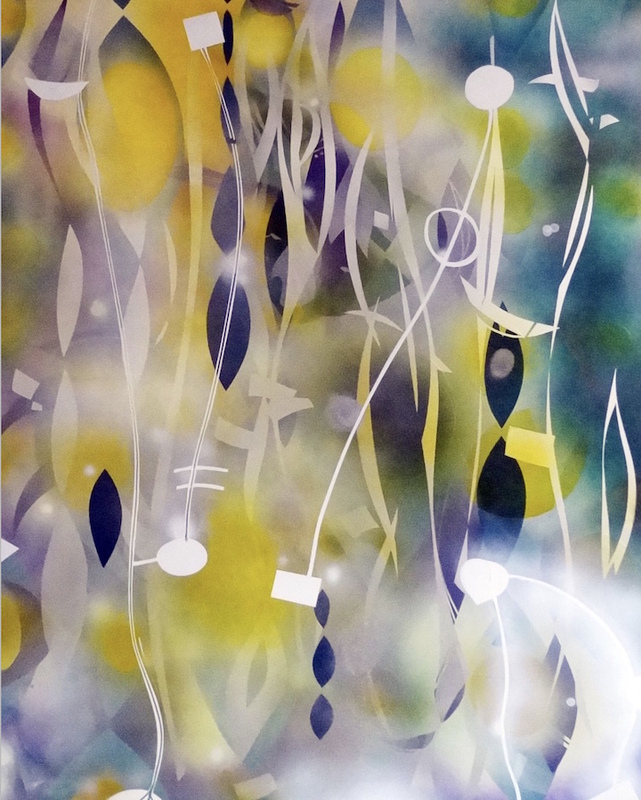 I’ve shown my work at Fountain House Gallery and at Pace University via Community Access. No. I don’t work from sketches. Are there any particular cultures that influence you at present? I don’t feel influenced by cultures other than my own, but I like what the European writers are doing. I especially like the Swedish graffiti crew WUFC. It’s more complex — more sophisticated, and I use more colors. I just want to keep on painting. 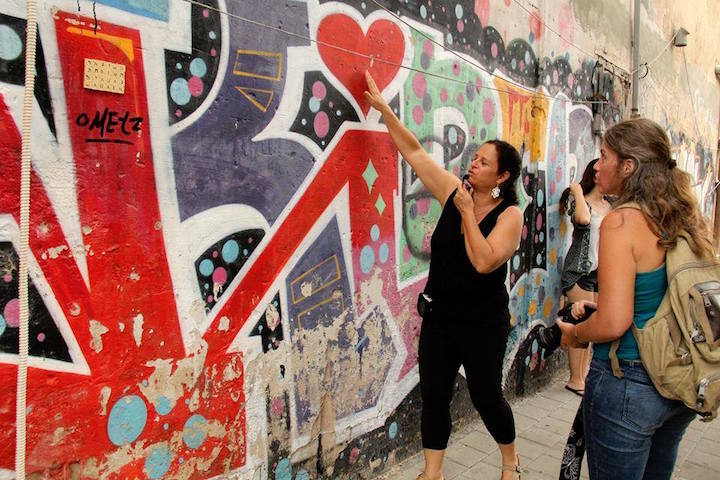 You’ve documented urban art in several cities and have previously published a book on Santiago’s rich street art scene. What drew you to Tokyo? 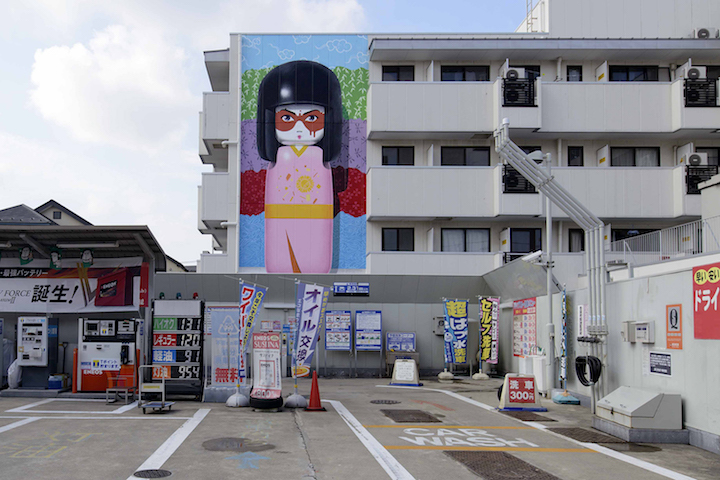 Tokyo’s street art scene has never been documented and published before in a book of this format, and its urban art is relatively overlooked by locals and tourists alike. 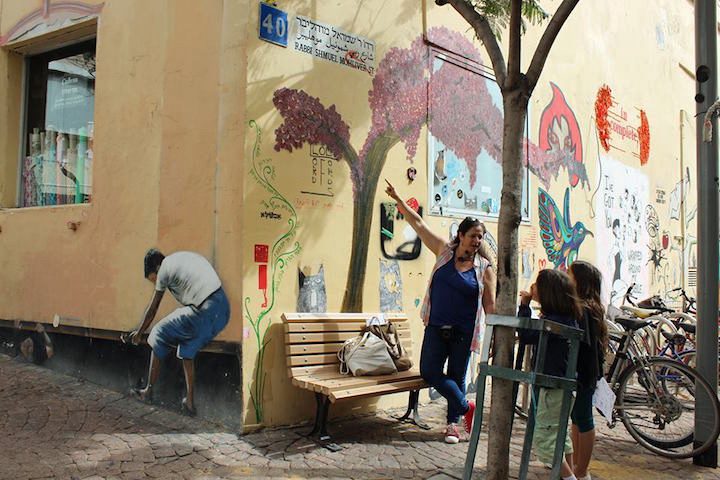 The walls and streets are so pristine and well-organized — many with an abundance of logos and commercials – that you may get the impression that street art is not needed. But when well-placed and in the right context, it enhances Tokyo’s well-planned and maintained architectural surroundings. Also, I saw this book as a challenge. I was in Tokyo photographing the Sumo wrestling culture. The majority of my time was spent handling bureaucratic paperwork, and out of frustration and impatience, I decided to hit the streets. Initially, I wasn’t entirely sure there would be enough art out there to justify a book. But the more I dug in, the more hidden gems I discovered. 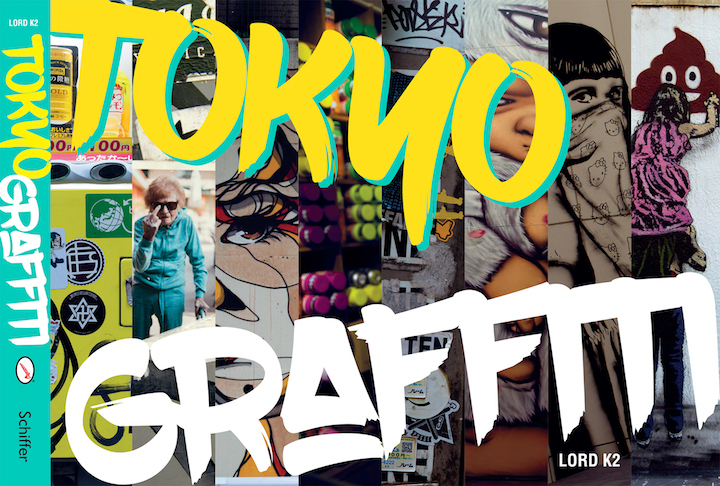 Since Tokyo’s graffiti is not so apparent, I thought it would be a good idea to compile a book of some of the most significant pieces in one format to be viewed easily. 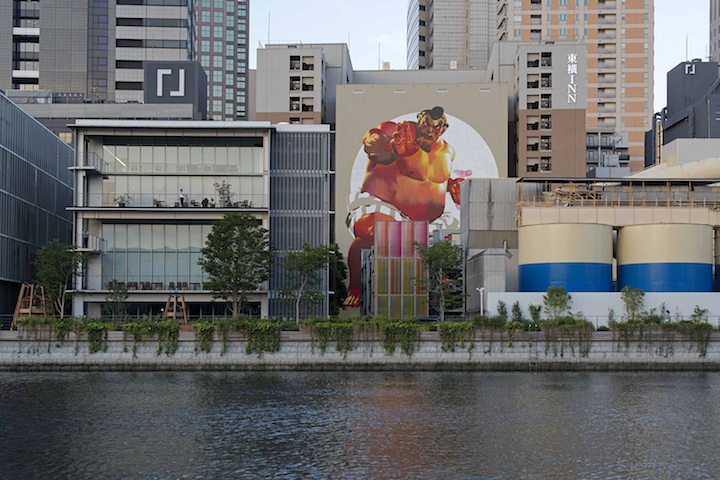 How does Tokyo’s street art and graffiti scene differ from other cities you’ve visited? Regarding graffiti and art that is often regarded as vandalism, it’s not in the nature of Japanese to vandalize, rebel or speak up. Their economy functions well; there is virtually no street crime, and the education system is excellent. It seems that there is not too much to protest about. Also, conformism is an integral part of the Japanese way. Going against the flow of polite dignified behavior is considered a far more extreme form of misconduct than it is in most other countries. Another distinct difference between Tokyo and many other cities is that in Tokyo it is a nightmare-of-a-process to obtain permissions, limiting the quantity of “decorative art,” even though the quality is generally high. 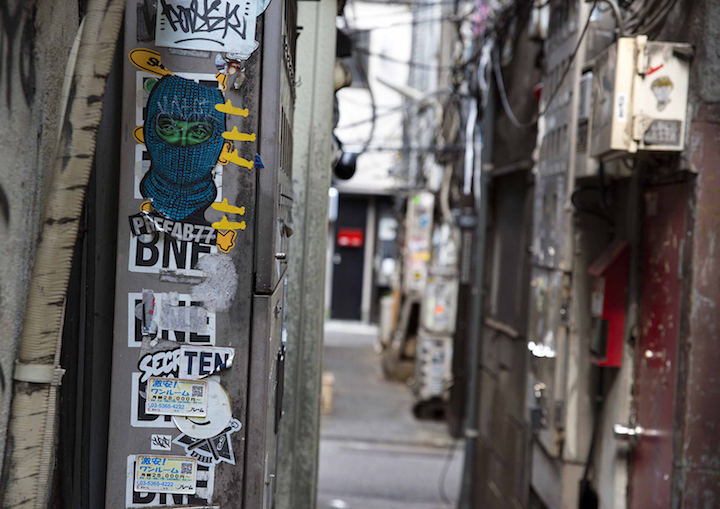 There are, though, a fair amount of stickers mounted in the highly populated central neighborhoods of Harajuku, Shibuya and Shinjuku, since these are quick and easy to put up with a minimal chance of being caught. Many of these stickers have been put up by foreigners. What were some of the challenges you’ve faced in documenting it? A big challenge was getting the artists to talk. They were happy to be interviewed, but cautious as to what they would reveal. It was hard to extract any juicy or emotive information. Fortunately, I was introduced to Little Pink Pills, who was already well-informed on the scene. She ended up writing the book’s text that accompanies my photos. The other challenge was sourcing the graffiti. Even though artists would pinpoint locations, this didn’t suffice. I had to scout the streets for hours on end on my bicycle. I was inevitably much fitter for it. Do any particular images or styles stand out to you? Any that are distinctly Japanese? 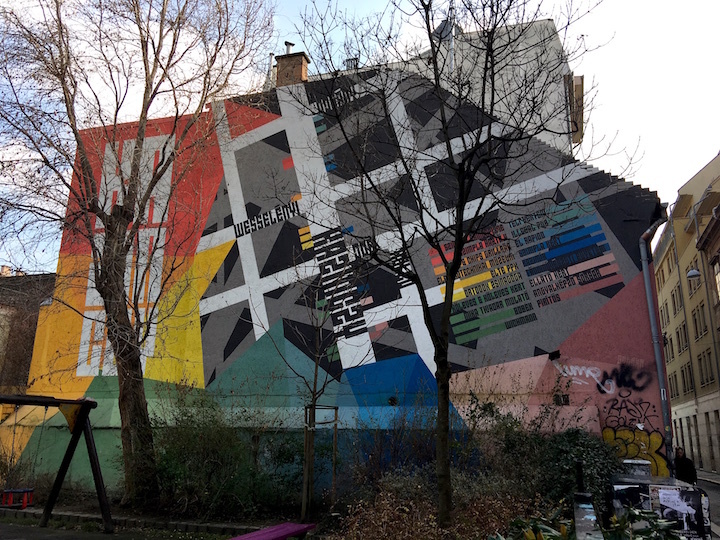 The mural that stands out most to me is one that was painted by German artist Case Maclaim. It’s a gigantic mural on the back of a building in Tennozu Isle painted for Pow! Wow! Japan depicting Sumo video game fighter E .Honda. It’s striking to see it in the distant urban scape. 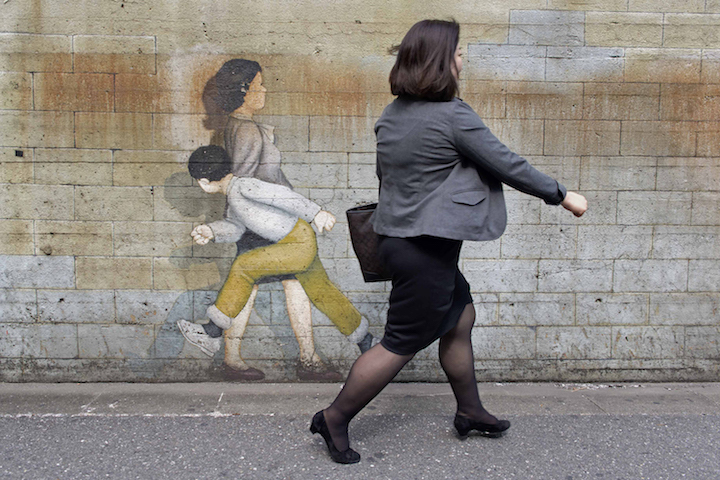 Half the street art in Tokyo is painted by Westerners. They often incorporate images from popular Japanese culture such as Samurai, Geishas, Sumo, as well as comics that portray social issues. 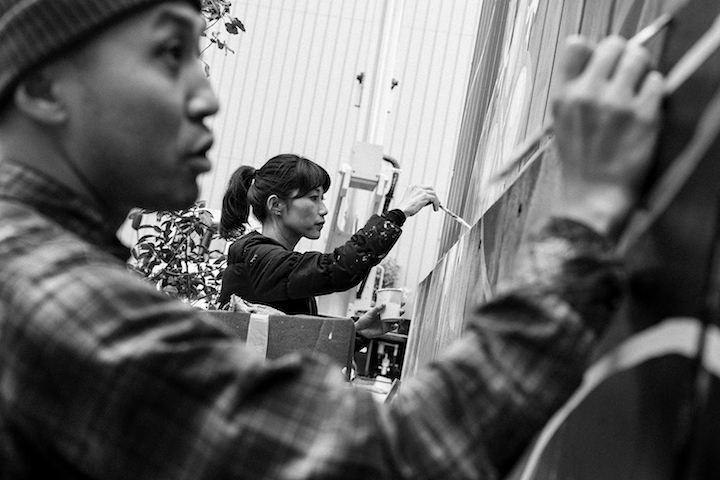 Japanese artists do not have a collective style of painting, as each individual/crew has its own distinctive style. Many of them incorporate less commercial elements of Japanese culture. 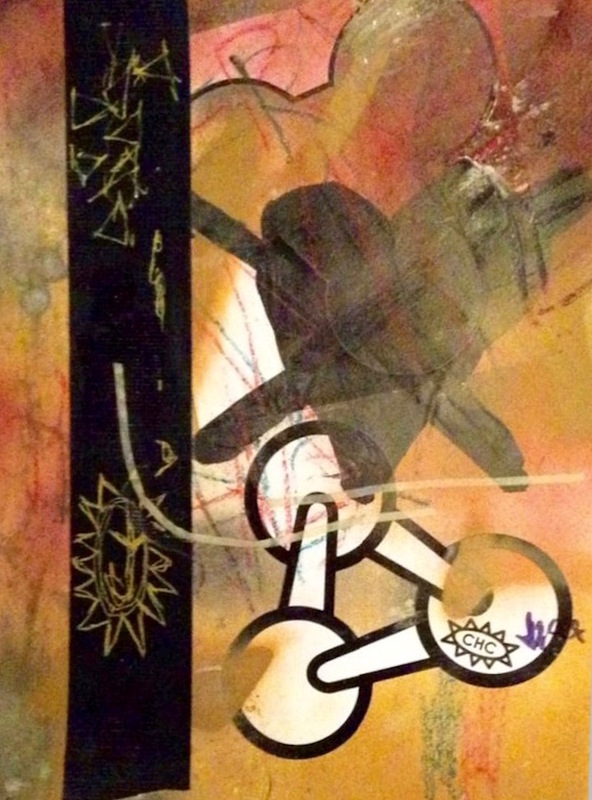 For example, Usugrow blends Japanese calligraphy with pointillism and Los Angeles Cholo culture. Shizentomotel paints Namahage, a traditional Japanese folklore demon. 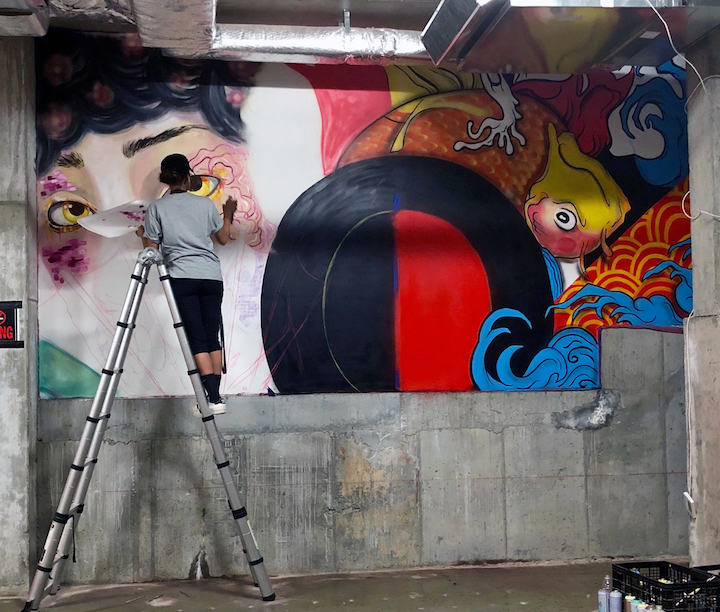 Dragon‘s style is a fusion of graffiti, manga and ukiyo-e. Tamura Yoshiyasu, a manga artist, painter and illustrator, mixes modern manga with traditional Japanese art. I’m so glad that you and Little Pink Pills made this book happen! Congratulations! 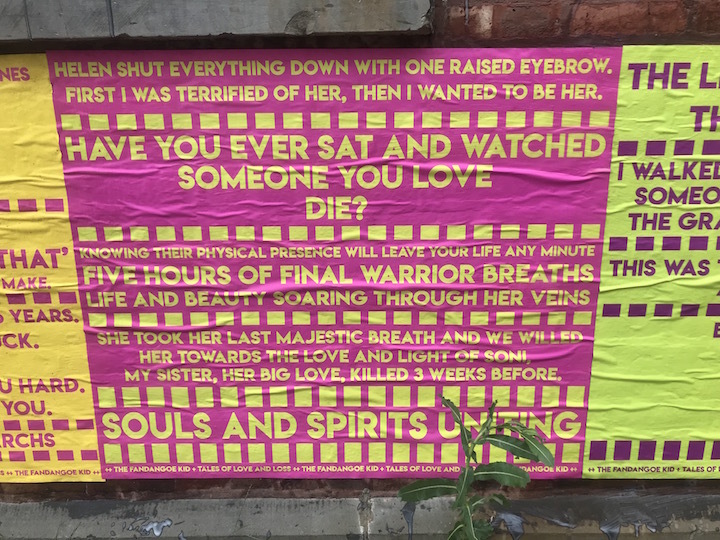 When did you begin this project– with its focus on wheatpasting images of yourself in various disguises representing street peeps? I started three months ago. Had you ever gotten up on the streets before you began working on this project? Back in the 90’s, I did a series of boys’ heads based on an image that I had seen. 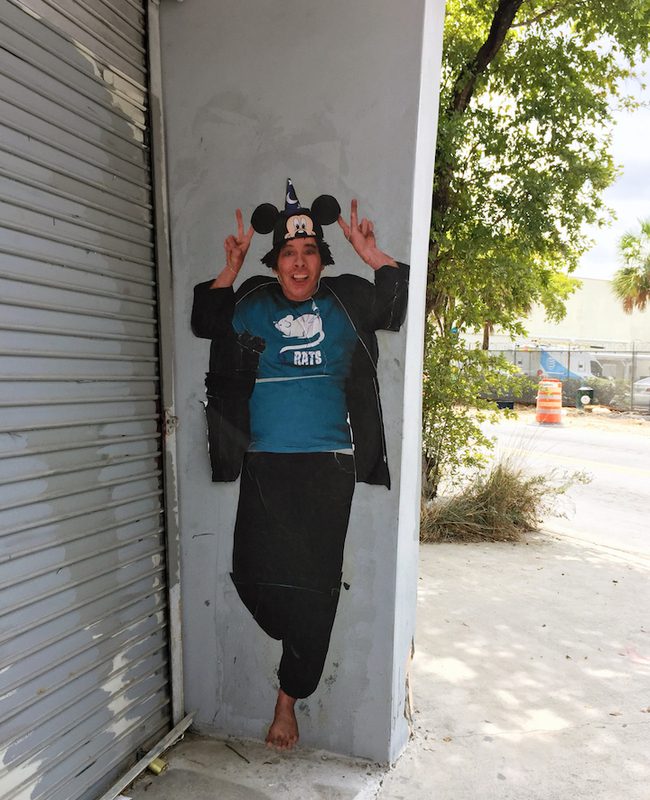 I got them up in Miami – mostly on lampposts – Downtown and on the beach. One even made it into the bathroom of the Perez Art Musem, back when it was the Miami Art Museum. I painted the heads in different colors mixing guache paint with wallpaper paste. What inspired you to do so back then? I’d seen graffiti and wheatpastes up in NY, and I wanted to be out there. What spurred you to hit the streets this time around? Between 2008 and 2014, I was represented by a gallery in Miami. After that ended, I wanted a way to share my vision — and concerns — with others. Things had tapered off. Getting up in the public sphere seemed like the most sensible way to accomplish this. And why this particular project? I feel very strongly about homelessness. I’ve seen it explode in recent years. It is appalling! And the income disparity is continually increasing. I’ve been interested in these two issues for awhile. Each of your portraits is another rendition of you as someone who is homeless! Yes! I’ve been doing portraits of myself since 2008 as part of my performance art. Who exactly are these characters you are portraying? They are inspired by homeless folks and street people I see when I’m out on the streets. 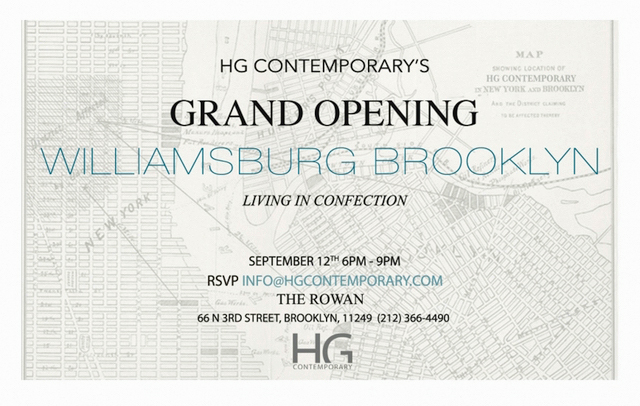 The ones who are the casualties of gentrification. This city is changing so rapidly. And what about the characters with the masks? Who are they? They represents the power structure. The eilite – those who control our economic assets. The developers who can easily evolve into a monsters. What about your relationship with the homeless? For awhile, I was bringing them sleeping bags and cots. But these days, I bring loaves of day-old bread and bottles of water. And socks – white socks and gray socks. They choose which ones they want. These items are what they seem to need and want the most. 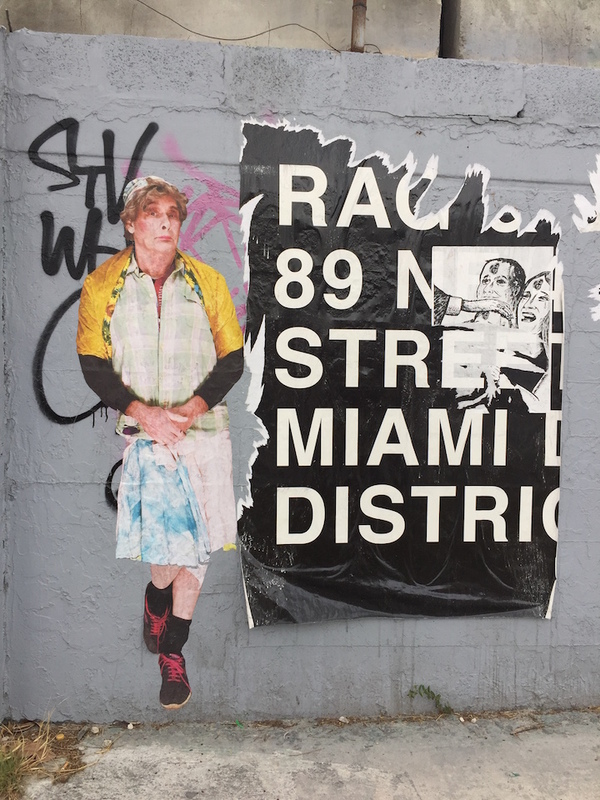 And how has this project – getting your portraits out there in public space — impacted you? It’s been very liberating! It’s fun! And I like the idea of short circuiting the gallery system. Creating and getting up more images suggestive of the homelessness crisis. Interview conducted and edited by Lois Stavsky with photos by Lois Stavsky. Special thanks to Andrew Ringler for introducing me to David.